This series of short biographies brings together many of the individuals who have been significant in the history of the College, including all those after whom buildings and public rooms are named, as well as a selection of famous alumnae. Click on their names to read more information. Dame Margaret Anstee, the first female Under-Secretary General of the United Nations, and Newnham alumna. Margaret Anstee was born in Essex in 1926. Her parents, having had very little access to secondary education themselves, were determined that their daughter would have the best education they could manage. Margaret came up to Newnham in 1944 to read Modern and Mediaeval Languages and got a First. She had a whole string of ‘firsts’ to her name including reaching the rank of Under-Secretary General of the UN in 1987. She served all over the world during her career including in South America, Ethiopia and Morocco. She coordinated the response to disasters from the Bangladesh cyclone to Chernobyl, and led the UN team which attempted to secure a peace settlement in Angola. She also advised successive UN secretaries-general on post-conflict peace building. Her autobiography Never Learn to Type encapsulated her ambition and determination to succeed. She was made an Honorary Fellow of the College in 1991 and financially supported many Newnham students to carry out field work abroad. Dame Margaret died aged 90, leaving a substantial legacy to Newnham. It was decided that a research centre based at Newnham, the Margaret Anstee Centre for Global Development, would honour her international reputation and enable new and exciting research to be carried out in her name. Newnham alumna Cynthia Gibson Beerbower was a Wall Street tax lawyer, a member of the Clinton administration in the US, and an entrepreneur. Cynthia Beerbower, a tax lawyer and advisor to the Clinton administration, was a staunch supporter of Newnham College. In later life, she discovered a fascination with modern art – and an unexpected talent as an olive farmer. Cynthia was born in Dayton, Ohio. As a child, she lived first in Europe, where her father was a military attache, and then in various places in the USA. She took her first degrees at Mount Holyoke College and Boston University Law School. She came to Cambridge in 1973, where she joined Newnham College, receiving her LLB in 1976. She was admitted to the New York State Bar, and became a partner specialising in tax at Simpson, Thatcher and Bartlett. In the Wall Street of the 1980s, she was one of only a handful of women partners at top Wall Street law firms. In 1993, she joined the Clinton administration, serving first as International Tax Counsel under Secretary Lloyd Benson and then as Deputy Assistant Secretary for Tax Policy under Secretary Robert Rubin. She left government service in 1996, to set up an insurance company, and later joined hedge funds in Seattle, and, subsequently, New York City. Cynthia retired from the financial business in 2005 and moved to France with her daughter. She acquired an olive farm in Chateauneuf de Grasse, in the south of France. She oversaw five successful harvests producing hundreds of litres of extra virgin olive oil each year. She had a lifelong passion for interior design and the renovation of houses. On the farm in France, she spent several years on a painstaking renovation of the old buildings. In later life, she developed a strong interest in modern art, and became an active patron of the Courtauld Institute of Art in London. Cynthia was a strong supporter of Newnham College over many years, staying in touch with the College, throughout her life. A generous legacy to the College is commemorated in the naming of the Cynthia Beerbower Room, the College’s conference room in the Dorothy Garrod Building. Elsie Butler was a Newnham modern linguist who held successively two of the most prestigious German chairs in the country: the Henry Simon Chair at Manchester (1936–1944), and the Schroeder Chair at Cambridge (1944–1951). In each case she was the first woman holder of the chair. Butler came to Newnham as an undergraduate in 1908 to read French and German. Her father’s enthusiasm for a continental education for his daughters led to their attending schools in Hanover, Paris and Reifenstein (Thuringia). 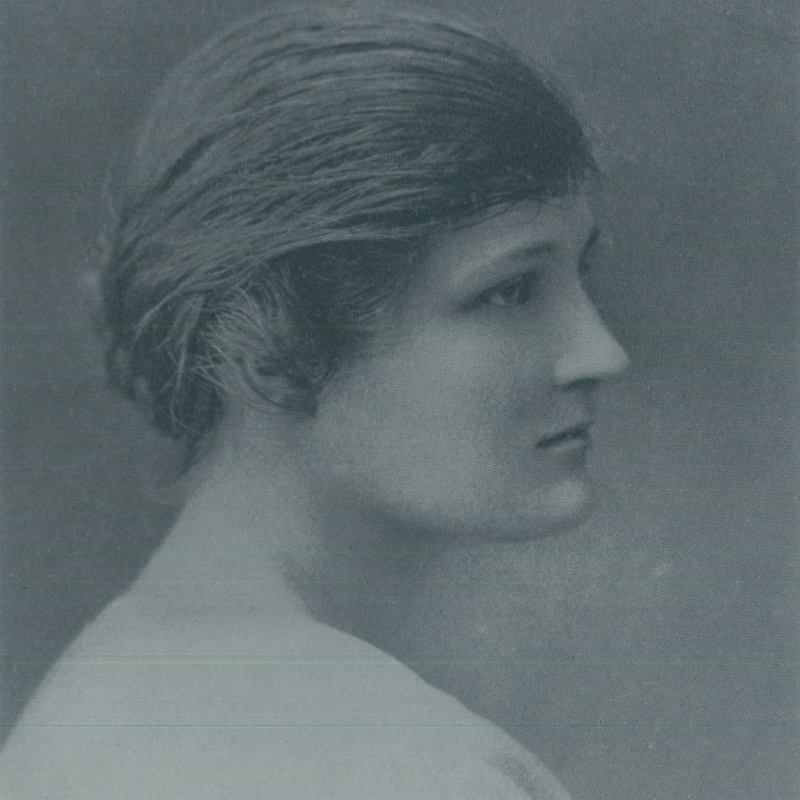 Elsie’s elder sister Kathleen (1883–1950) followed her to Newnham and went on to become a University lecturer in Italian, and eventually Mistress of Girton. 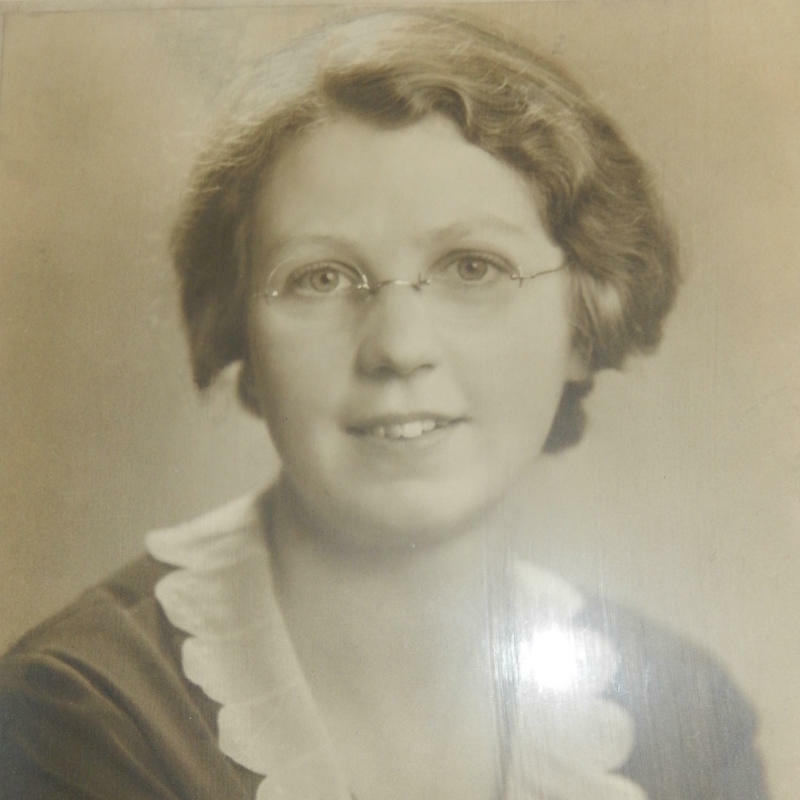 The beginning of Elsie Butler’s research career was spent in Bonn, but the outbreak of war forced her to return to England, where she spent a further two years at Newnham doing substitute teaching in French and German. At the same time, she learnt Russian from Jane Harrison and enthusiastically joined the Scottish Women’s Hospital Unit, with which she served as an interpreter and administrator in both Russia and Macedonia – a period she afterwards regarded as the happiest in her life. The enthusiasm which Butler felt for Russia and the Russians contrasts sharply with her hostility to Germany and the Germans, whom she saw as small-minded, self-interested and nationalistic. During the Second World War she found “the very language of Germany […] abhorrent” (Paper Boats p. 153). Nonetheless, it was in German studies that Butler was to make her name. She blamed Newnham for offering her a job in German when her preference would have been for French, but in truth the decision had been her own. Butler was a prolific researcher who travelled widely both in Europe and, with her close companion Isaline Horner, in the East. Her work encompassed studies of individual German authors both within the canon (Heine, Goethe, Rilke) and outside of it (Hermann von Pückler-Muskau), as well as studies of magic, the magus and the Faust legend. She was particularly attracted to the figure of the lone genius with “star quality”, and supplemented her writing on German literature with studies of Sheridan and Byron. Her fascination with magic and the supernatural was both intellectual and personal, with ghostly figures and mysterious experiences influencing her at key points in her life. Her disaffection with what she saw as the German national character found expression in her most influential book, The Tyranny of Greece over Germany (1935). Butler’s work was individual and at times polemical: she had the distinction of having it banned by the Nazis, which enhanced her reputation at home. 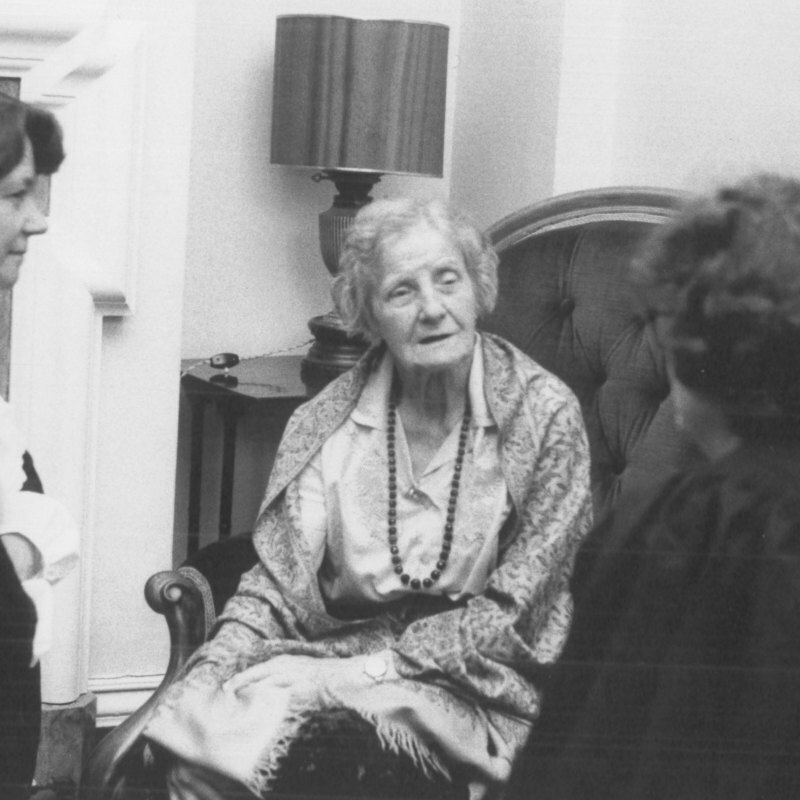 On appointment to the Schroeder Chair, Butler resumed her association with Newnham as a professorial fellow, and lived in the Pightle until her retirement in 1951. Her autobiography paints a fascinating and affectionate picture of some of Newnham’s early dons. She had a great admiration for Mrs Sidgwick, for her tutor B.A. Clough, and above all for Pernel Strachey and Jane Harrison, who had taught her French and Russian respectively. “Disinterestedly dedicated to learning, they were there to further the cause of the rising generation and to make accessible to us what they had acquired under great difficulties and intense discouragements. Mental distinction and personal integrity marked them out. They formed a university in miniature in default of being a recognised part of the University outside their doors” (Paper Boats p. 36). Champneys was the architect for Newnham College from 1874-1913. Champneys came from an old county family, although his immediate relations were hard working, modest income, public servants. His father was an Evangelical Vicar of Whitechapel, with practical concern over the problems of London’s poor. Only very late in life was he promoted Dean of Lichfield. Basil was one of 8 children and money was tight. He was intelligent and hardworking. Consequently he was able to go to school at Charterhouse, excelling in mathematics but showing no aptitude for drawing. In 1861 he entered Trinity College, Cambridge, where Henry Sidgwick was a Fellow, to read classics. In 1864, being disappointed at not achieving the First which was hoped for, he took articles with John Prichard, the Surveyor of Llandaff Cathedral, to study as an architect. He was one of the rising number of graduates to join the profession.. Basil set up in practice in 1867 at 32 Queen’s Square, London, near the office of William Morris & Co. He believed that architecture was an art not a science, so declined to join the RIBA, preferring instead the Art Workers Guild. John Prichard was a firm adherent of the Gothic Style; but Champneys, although he could provide Gothic designs, became one of the pioneers of the “Queen Anne” style. He brought to Newnham a touch of lightness, as well as meticulous care about construction details, and care about costs. He worked on at least 100 buildings throughout the country. In Cambridge there is the Old Divinity School, and the original Museum of Archeology (now Peterhouse Theatre). Two of his more notable buildings elsewhere are the Rylands Library in Manchester, and Mansfield College in Oxford. He regarded himself as a man of letters. 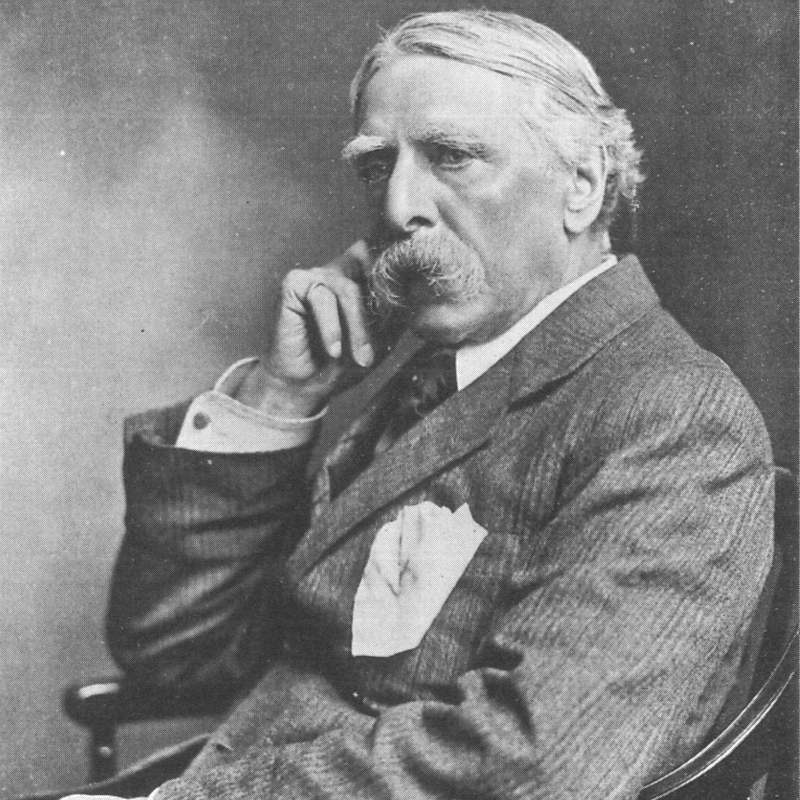 As well as numerous articles on architecture, art and literary subjects he published in 1874 “A Quiet Corner of England”, and two biographies: in 1901 Coventry Patmore, and in 1906 Adelaide Drummond. The College Archive houses a collection of research material gathered by Phyllis Hetzel and her daughter when they were planning to write a biography of Basil Champneys. Mrs Hetzel died in 2011 and the papers were given to Newnham by her daughter. Anyone interested in viewing the collection should contact the Archivist. “Basil Champneys: An Underrated Victorian”, Susan James, in “The Victorian”, March 2003, No 12. Anne Jemima Clough was the first Principal of Newnham College. Anne Jemima Clough was the only daughter of James Butler Clough, a Liverpool cotton merchant, and his wife Anne, née Perfect. Between 1822 and 1836 the family were based in Charleston South Carolina, from which much of the cotton imported into Liverpool came in the days of sail. Anne Clough, however, pined for her own country and in 1836 the family returned to Liverpool. Anne Jemima was educated entirely at home, as was common for middle and upper class women of the time; but she helped as a volunteer in a Liverpool charity school and became determined to run a school of her own. Her father’s bankruptcy in 1841 was her opportunity: she persuaded her parents that by opening a little day school for up to half a dozen middle class children in their home, she could help financially while not losing social status. When, after her father’s death, at the end of the 1840s, she and her mother moved to Ambleside in the Lake District, she was able to expand her operations. The school at her house, Eller How, educated over a dozen local children and several boarders. In 1863 Anne Jemima handed her school on to her assistant and moved to Surrey. Her beloved brother, Arthur Hugh Clough, the poet, had died at the age of 42 and she felt duty-bound to support her sister-in-law Blanche in bringing up three small children. She drew on her Eller How experience, however, in giving evidence to a Royal Commission on secondary schooling; and through her friendship with Blanche’s cousin, Alice Bonham Carter, was drawn into more general campaigns for the transformation of the education of women. Her scheme for peripatetic lecturers was the germ of the University Extension Movement. Anne Jemima was thus in 1871 an obvious person for Henry Sidgwick to invite to take charge of a hostel in Cambridge for ladies wishing to travel from a distance to attend the lectures there. Sidgwick had got to know the Clough family through his admiration for Arthur Hugh Clough’s poetry; and he and the poet had travelled the same route in gradually losing their Christian faith. This reinforced their shared commitment to the higher education of women with powerful personal bonds; and they were at one also in wishing the new enterprise to have no religious affiliation. From this hostel and its first five students grew Newnham. Anne Jemima, who was eventually designated Principal, was in the thick of everything, from the negotiations with St John’s to lease the land, through to care for sick students. She was not a natural administrator: her style was homely and she was legendary for beginning sentences in the middle. But she had inexhaustible good humour, plenty of common sense and fun, and an enviable ability to admit when she was wrong. These qualities made her students cherish her and enabled her to work well and creatively with her colleagues. The College Council named the largest of the Halls, completed in 1887, Clough Hall, in her honour; and following her death, her old students and friends commissioned from Basil Champneys the handsome wrought-iron gates which stand at the head of Newnham Walk. Those in Liverpool who had supported her early work for women’s education contributed the Liverpool Clough Scholarship funds. Blanche Athena Clough came up to Newnham in 1884 to read Classics and stayed on to act as secretary to the Principal, her aunt, Anne Jemima Clough. Blanche Athena Clough, known to her family as Thena and to her students as B.A., was the last child of the poet Arthur Hugh Clough and Blanche Mary Shore Smith. Her father named her but he never saw her: he was already travelling in Europe for his health and three months after her birth he died in Florence. Thena came up to Newnham in 1884 to read Classics and stayed on to act as secretary to the Principal, her aunt, Anne Jemima Clough. She was persuaded to remain after her aunt’s death, despite enduring doubts about her own capacities, and accumulated a variety of offices, as her administrative talents were revealed and honed. She also took a major role in the planning of the Newnham gardens. In 1911 the College Council offered her the Principalship but she insisted it went instead to Katharine Stephen. She gave Katharine every support during the war years, while also piloting through the Royal Charter and Statutes (granted in 1917) which made Newnham the first women’s College to become a self-governing academic community. In 1918 she became the token Cambridge woman on the Royal Commission to consider the finances of Oxford and Cambridge. While the Royal Commission was sitting, the supporters of women’s higher education were trying again to persuade the University of Cambridge to admit women to full membership. This tricky public situation led her colleagues to draft Thena into the Principalship in 1920. She fought valiantly; but the men on the Royal Commission were unwilling to force Cambridge to admit women as the price of receiving government money. And in October 1921 Thena had to face down male undergraduates celebrating Cambridge’s refusal to admit women and using a coal trolley to batter the wrought-iron gates commemorating her aunt. She concluded that the next phase of the campaign for recognition would be a long one, best left to the younger generation, and retired from office in 1923. She divided her time between the New Forest, where she was a passionate gardener and bird-watcher, and London, where she did voluntary work for the London and National Society for Women’s Service, working to expand employment opportunities for women. The Clough family name resonates through Newnham and evokes Thena as well as her aunt. In 1887 it was Thena who presented the bouquet to the Princess of Wales at the opening of Clough Hall. The Arthur Hugh Clough Graduate Scholarship was endowed by her mother in memory of her father. The gardens are perhaps the memorial she would have appreciated most. Sheila Edmonds was one of the last of the old-style Cambridge dons who devoted their lives to teaching and to their colleges. Sheila had an excellent undergraduate career ending up a `Wrangler’, as students who are placed first class in the examinations for the Mathematical Tripos are called – though this did not result in a Cambridge BA degree because women were ineligible until 1947. The following year, she was awarded a distinction in the notoriously demanding Part III of the Tripos. In a speech she gave at her 80th birthday dinner, she acknowledged that a key to her success was the thorough mathematical training she received from her Director of Studies at Newnham, Margaret Grimshaw, who was 11 years her senior and another of the old-style dons. After Part III, Sheila Edmonds embarked on research under the supervision of G.H. Hardy, perhaps the finest English mathematician of his generation, who pioneered the study of rigorous mathematics in England. Her Ph.D thesis, finished in 1944, was modestly entitled `Some Multiplication Problems’ and contained 44 theorems, 21 lemmas and numerous graphs meticulously coloured in red and black. The opening sentence `The proposition known as Parseval’s theorem stands amongst the most celebrated results in the theory of Fourier series.’ set the agenda for the series of papers she produced for over a period of 10 years. It also gives an indication of her elegant and economical style, both written and spoken. The influence of Margaret Grimshaw can again be detected in her choice of subject, since the thesis dealt with an area of research that she was also pursuing. At the time when Sheila started teaching, it was expected that supervisors in mathematics would cover the whole range of pure and applied mathematics; this she did with considerable aplomb, conveying in a characteristically understated manner a deep enthusiasm for her particular subject areas. Her patience, thoroughness and encouragement set a generation of women mathematicians on a path to careers in mathematics and related areas. Indeed, it used to be said that every mathematics student at the womens’ colleges had been taught by someone who had been taught by Miss Edmonds or Miss Grimshaw. Sheila Edmonds was fundamentally a shy, though not a timid, person. Her reticent manner concealed a great deal of warmth and real concern for her students, colleagues and friends. On formal occasions, she cut an impressive figure, but without any hint of pomposity. After her retirement she was content to live quietly with her newly-acquired and rather demanding dog until that was made impossible by the onset of Alzheimer’s disease. She had no close relatives. Millicent Fawcett gave help and advice both in the early planning and in the growth of Newnham, and her house was a key meeting place for the supporters of women’s education in Cambridge. 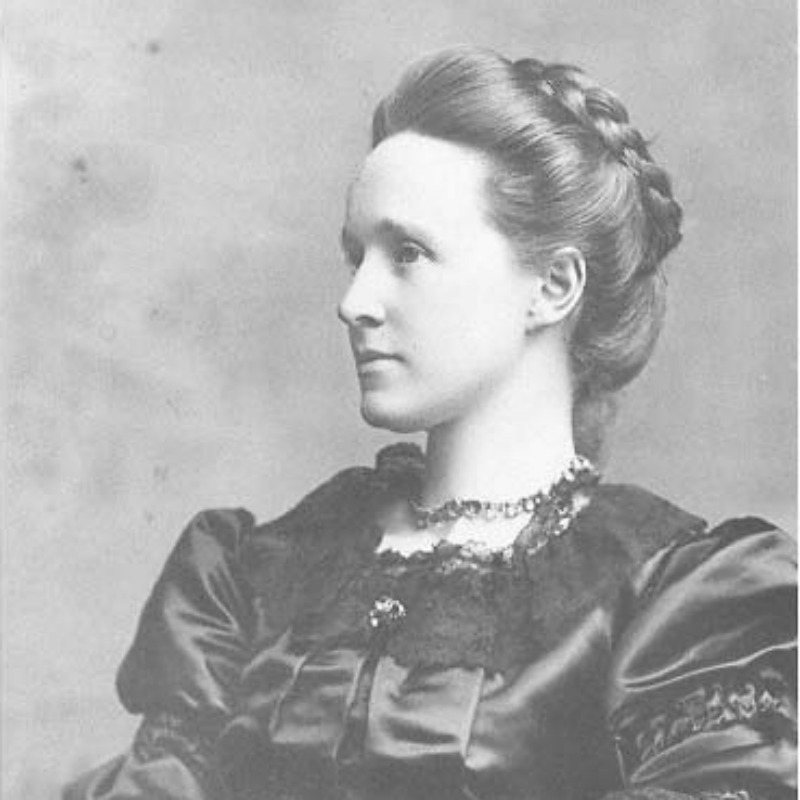 Millicent Garrett Fawcett was a daughter of the determinedly feminist Newson Garrett, corn and coal merchant of Aldeburgh, and his wife, Louisa. A sister was Elizabeth Garrett Anderson, the pioneer doctor, and Rhoda Garrett, the designer, was a cousin. In April 1867 Millicent married Henry Fawcett, the blind Professor of Political Economy at Cambridge and Radical Liberal MP for Brighton. Their only daughter, Philippa was born a year later. The Fawcetts’ Cambridge drawing room was a key meeting place for the supporters of women’s education in Cambridge and Millicent herself gave help and shrewd advice both in the early planning and in the growth of Newnham. She was also active in the campaign for women’s suffrage, an involvement which expanded and dominated her life after Henry’s untimely death from pneumonia in 1886. She played a major role in the formation of the National Union of Women’s Suffrage Societies in 1897 and did her best to prevent rifts in the suffrage campaign threatened by the militancy of the Pankhursts’ Women’s Social and Political Union. At the outbreak of war in 1914-15 Millicent saw off efforts to take the NUWSS into the international pacifist movement. Subsequently she had the satisfaction of seeing women enfranchised by the legislation of 1918 and 1928. In 1937 Newnham named its newest building Fawcett; and in 1953 the London and National Society for Women’s Service, which worked to improve employment opportunities for women, was re-named the Fawcett Society. In 1890, Philippa Fawcett scored the highest mark of all the candidates for the Mathematical Tripos. She was placed ‘above the Senior Wrangler’ (that is, above the top first) because women were not then eligible for the Cambridge BA degree and therefore could not be classed as Wranglers. At the time, when pressure was mounting for women to be allowed the vote, this achievement was regarded as astonishing, spectacular and deeply significant. National and foreign newspapers carried admiring headlines (`A Lady beats the Senior Wrangler’, `Miss Fawcett’s Honor: the sort of girl this Lady Senior Wrangler is’ – from the Daily News and the New York Times, respectively) and wider issues were discussed in editorial columns. Philippa Fawcett was the only child of exceptionally distinguished parents. Her mother was Millicent Garrett Fawcett (1847 -1929), who was a leading suffragist and sister of Elizabeth Garrett Anderson, Britain’s first women physician. Her father was Henry Fawcett (1833-1884) who held the Chair of Political Economy in Cambridge and was Postmaster General in Gladstone’s government. The fact that he was blinded in a shooting accident at the age of 25 in no way deterred him: one of Philippa’s early memories was of skating in front of her father to Ely, whistling so that he could follow. After her triumph in the Mathematical Tripos, Philippa was awarded a scholarship for a further year’s mathematical study at Newnham and then became a College Lecturer, a position she held for ten years. In this time she published papers on the fluid dynamics. She left Newnham in 1902 to help with the development of education in South Africa, exciting work in a country struggling to recover from the Boer war. Returning in 1905, Philippa spent the rest of her working life with the London County Council, where she played a central role in the development of secondary schools. She retired in 1934, having attained the highest rank of any woman in the LCC. For most of this period, she lived with her mother in Gower Street, in the house upon which (according to Millicent Fawcett) congratulatory telegrams had `fallen like snowflakes in a storm’ in 1890. Philippa Fawcett maintained strong links with Newnham, attending Roll meetings even when in her late 70’s. The Fawcett building (1938) was so named in recognition of the contribution made to Newnham by the family. She died on 10th June 1948, two months after her 80th birthday, just one month after the Grace that allowed women to be awarded the Cambridge BA degree received royal assent, and fifty eight years after coming above the `Senior Wrangler’. 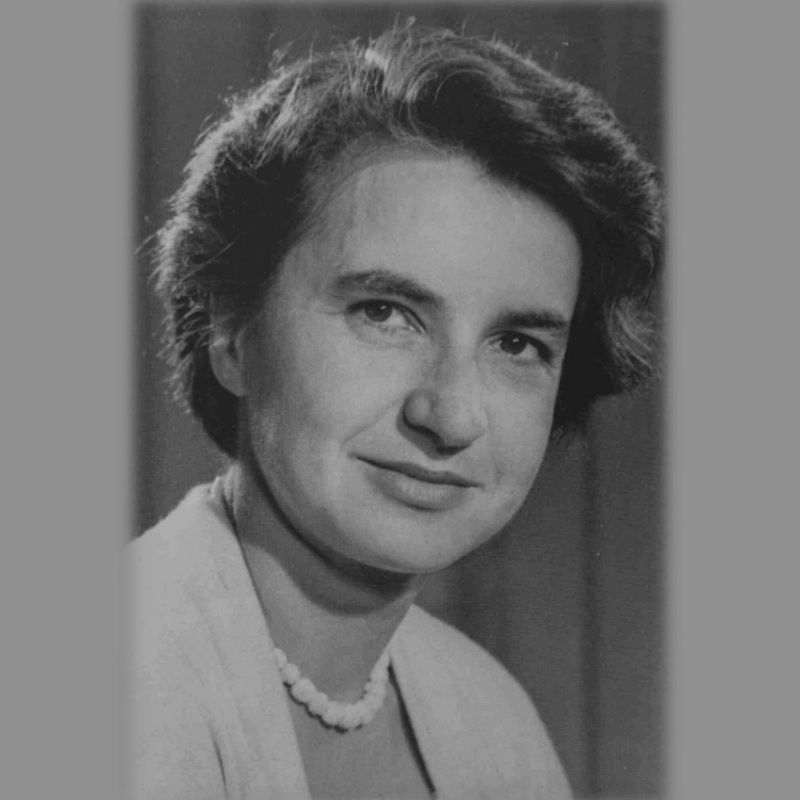 Rosalind Elsie Franklin (25 July 1920-16 April 1958) was an English chemist and X-ray crystallographer who made contributions to the understanding of the fine molecular structures of DNA (deoxyribonucleic acid), RNA (ribonucleic acid), viruses, coal, and graphite. Rosalind Franklin took her Part II in Natural sciences at Newnham in 1941. Her thesis research, explaining why some coal-like structures form graphite at high temperatures, while others never do, was her first great triumph. Following a stint in Paris, she took up a fellowship at Kings College London, where J.T. Randall had given her the job of elucidating the structure of DNA, using the X-ray diffraction techniques she had learned in France. A brilliant experimentalist, she succeeded in taking the famous “photo 51”, of DNA in its so-called B-form, which J.D. Bernal described in Rosalind’s obituary as “among the most beautiful X-ray photographs of any substance ever taken”. Her colleague Wilkins showed the photo (without Rosalind’s knowledge) to James Watson from Cambridge: this enabled Watson and his colleague Crick to take the speculative leap to the famous double helix structure of DNA, thus beating the Kings group to the solution. Shortly afterwards, Rosalind took her fellowship to Bernal’s group at Birkbeck, where she built up her own research group and applied her techniques to the problem of RNA virus structures, with several notable successes. Rosalind Franklin, once described by Maurice Wilkins as “our dark lady”, cannot have been an easy person to work with. Combative when she knew she was right, she was direct, intellectually brilliant and demanding of her colleagues. Most of them saw only one side of her. Away from her lab she was a keen climber, an excellent cook, a much-loved daughter, sister, aunt and friend, whose care and thoughtfulness touched all on whom she bestowed her attentions. At 37, and already a scientific star, she died of ovarian cancer. Aaron Klug, “The Discovery of the Double Helix”, in DNA: Changing Science and Society, ed. Torsten Krude, (Cambridge: Cambridge University Press, 2003). 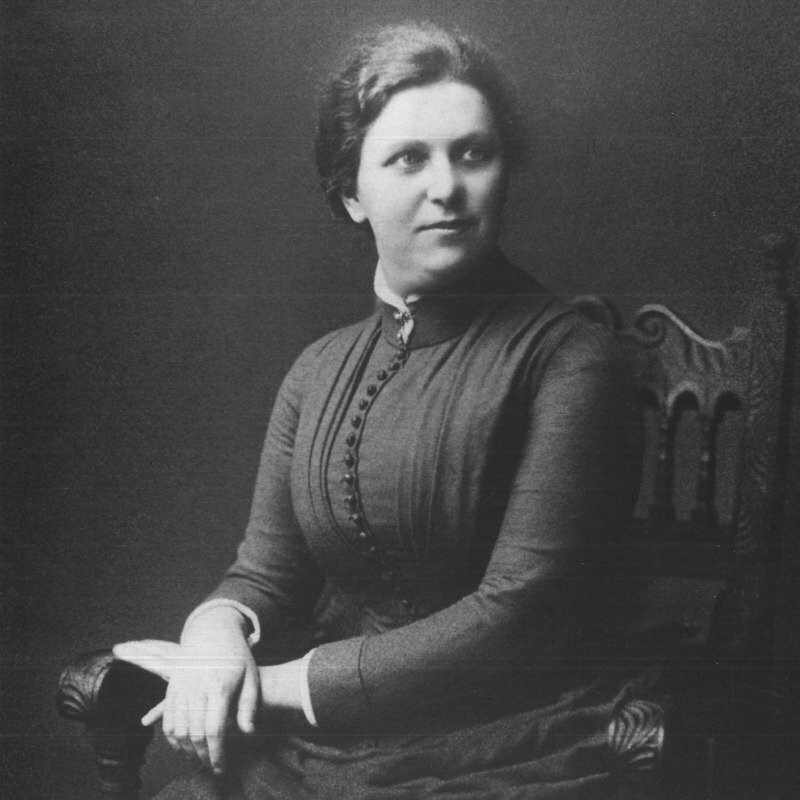 Ida Freund was the first woman to become a university chemistry lecturer in the UK, at a time when the subject was almost exclusively the domain of men. 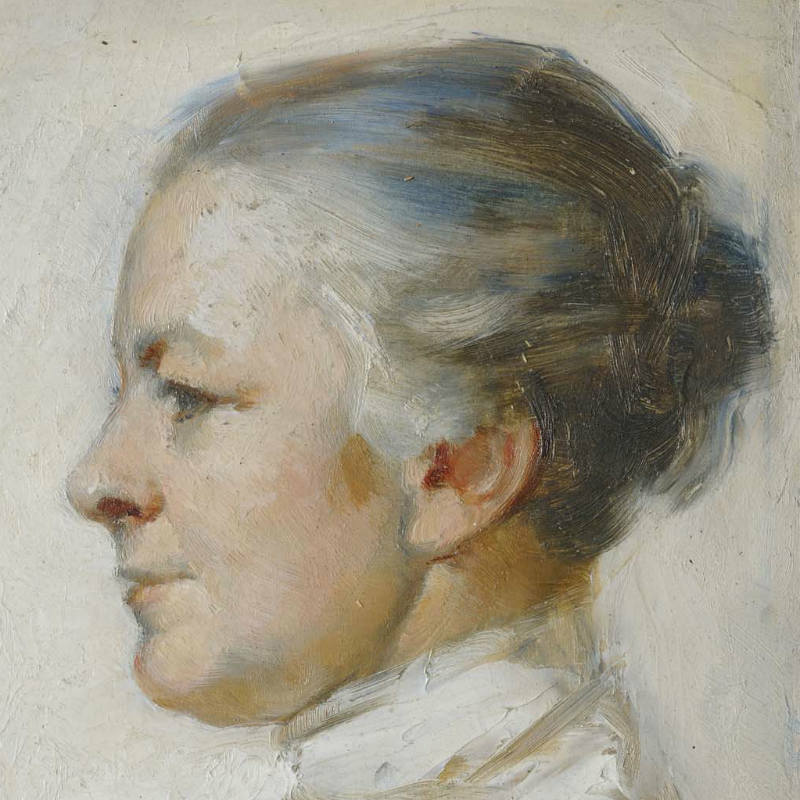 Born in Austria, Ida was educated at the Vienna State Training College for Teachers. In 1882 she enrolled at Girton College, Cambridge, to read natural sciences. On graduating she was initially appointed lecturer in chemistry at the Cambridge Training College for Women, but having been in post for only a year, she joined the staff of Newnham College as a demonstrator (junior teacher) in chemistry (1887). Three years later she was appointed to a full lectureship, and here she remained until her retirement in 1913. At the end of the 19th century, women were not admitted to the University Chemistry Laboratory until they had passed Part 1 of the Tripos. At Newnham, Miss Freund took responsibility for preparing her students for this hurdle. Her teaching duties appear to have given her little time for research and she published only one academic paper. What contemporary fame she had came from her 1904 textbook “The Study of Chemical Composition: an account of its method and historical development with illustrative quotations”. According to historian M. M. Mathieson Muir, this was “among the really great works of chemical literature”, but time moves on and the text itself now is mainly of interest to students of the history of chemical education. Freund was clearly a person once encountered, always remembered. A former student recounts “In my day Miss Freund reigned supreme in the chemistry lab…She was a great character. Austrian by birth, she wrote excellent English, but never managed to speak it (fluently). She would break off a sentence and ask “Have I got you wiz me in zat?” Another reminisced, making reference to Miss Freund’s disability (she had a leg amputated in her youth as a result of a cycling accident): “Miss Freund was a terror to first year students, with her sharp rebukes for thoughtless mistakes. One grew to love her as time went on, though we laughed at her emphatic and odd use of English. Yet how brave she was, trundling her crippled body about in her invalid chair, smiling, urging, scolding us along to “zat goal which is ze Tripos”. Ida Freund was an active feminist and supporter of women’s suffrage. She was a leading light among the women who fought for admission to the Chemical Society in the early 1900s. Sadly, Ida did not live to see success in her lifetime, and women were admitted to membership of the Society only in 1920, some six years after her death. As a legacy to her influence, friends and former students set up the Ida Freund Memorial Fund “to raise the standards of women teachers of the physical sciences by giving them opportunities for further study”, and as a reward for excellence in science, Newnham still regularly awards a prize in her name. The Gibbs Fellowship was founded in 1970 from a gift made by Miss Eileen Gibbs in her own name and in that of her late sister Phyllis. Phyllis came up to Newnham in 1918 to read History, and Eileen in 1919 to read Natural Sciences. Phyllis’s studies were curtailed by ill-health, but she returned home to St Albans and threw herself into public service locally with great enthusiasm, serving as a city councillor and school governor, and as a Magistrate. Eileen worked as a conservationist, with a number of national and international agencies, and travelled to many parts of the world for her work. She was also a keen gardener, and was involved in many activities at home in St Albans. Eileen and Phyllis lived together in St Albans in the house they had grown up in, neither married, and after Phyllis’ death Eileen lived there alone for the rest of her life. Both sisters had enjoyed travelling in connection with research and Eileen wanted to give others the opportunity to do the same thing, which she has done very successfully through her endowment of the Gibbs Fellowship. The subjects eligible for the Fellowship are those which interested the two sisters, Archaeology and Biology, and the related subjects of Social Anthropology and Sociology. Fellows were invited to tea at St Albans and Eileen took great pleasure in attending the annual Gibbs Dinner, having a tour of the College gardens and hearing about each new Fellow’s work. She loved to receive postcards from Fellows on their travels resulting in cards with research updates reaching her from many far-flung places. The research projects supported by the Fellowship have involved travel to most parts of the world, and investigation of a large range of topics, some of which are briefly described here. The photograph shows Eileen on a visit to Newnham. 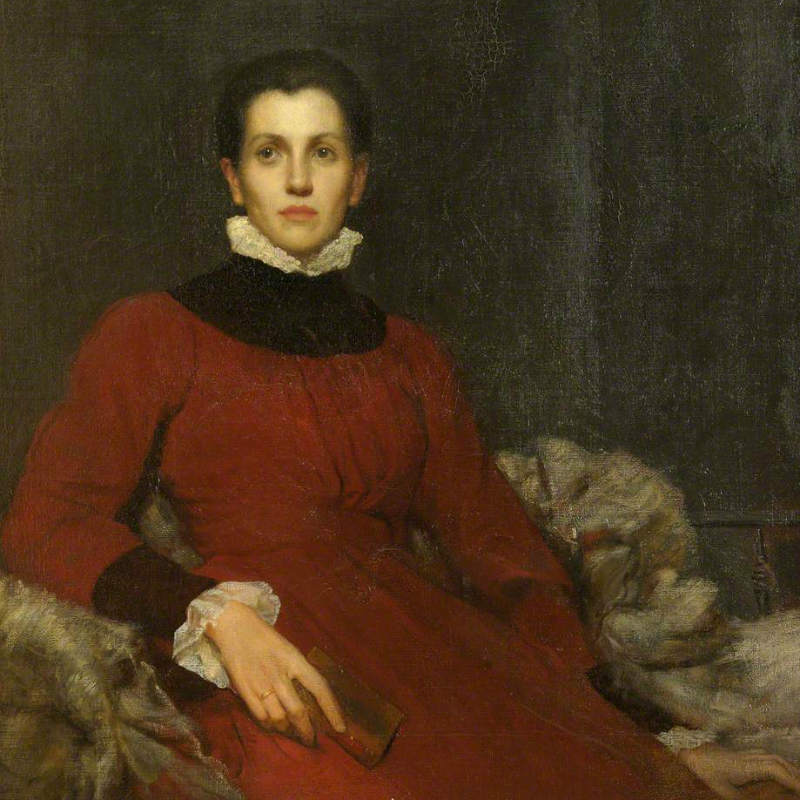 Helen Gladstone, youngest daughter of the Prime Minister, came to Newnham as a student in 1877 and stayed on as Principal’s Secretary and then Vice-Principal of Sidgwick Hall. Helen Gladstone was the youngest daughter of the Liberal Prime Minister, W.E. Gladstone and his wife Catherine, née Glynne. She came to Newnham as a student in 1877 and stayed on as Principal’s Secretary. 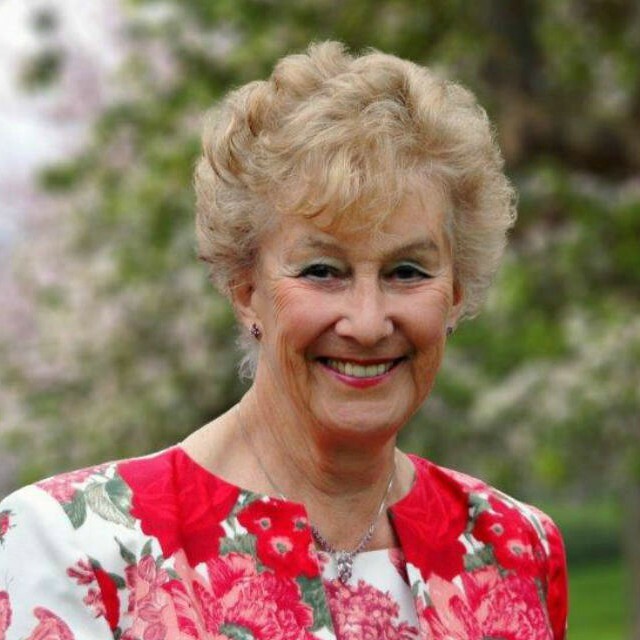 Subsequently she became Vice-Principal in charge of the Hall that is now known as Sidgwick Hall. She thrived at Newnham and was known for her sweetness of disposition and good sense. The newly-founded Royal Holloway College tried to tempt her away, to become their Principal; but she resisted firmly, suspecting that they wanted the Gladstone name as much as the person. Newnham had its own Gladstone-related publicity. In January 1887, watched by a great crowd, the Gladstone parents ceremoniously planted a tree in the Newnham gardens. It was soon up-rooted, probably by a Tory undergraduate. In its place, W.E. Gladstone presented an oak from the family estate at Hawarden, which still flourishes. In the course of the 1890s, Helen, taking turns with her siblings had to spend time as the ‘daughter at home’, at the beck and call of her now ageing and increasingly frail parents; and at the beginning of 1896, with great regret, decided she had to move home for what remained of their lives. Then in 1901 she became Warden of the Women’s University Settlement in Southwark. This was essentially a charitable enterprise, which tried to organise help, support and communal activities for slum families, while giving the gently brought-up young women students real experience of the lives of the poor. With her own devout Anglican upbringing, Helen was wholly committed to the objectives of the enterprise, but found the organisational work much less congenial, standing down after five years. 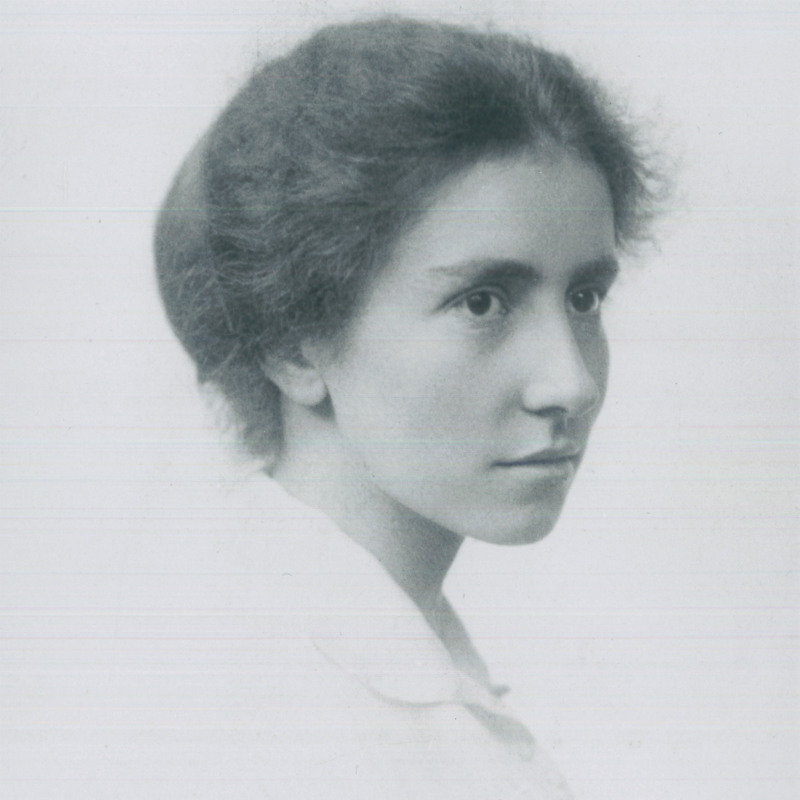 Dorothy Garrod was a pioneer both as a prehistorian and as a female academic in Cambridge. Her archaeological career began after the first world war (in which all three of her brothers died) . She studied with the Abbe Breuil in Paris, carried out research on the Upper Palaeolithic of England, and then embarked on a career of archaeological fieldwork and research. After discovering a Neanderthal child at Devils Tower, Gibraltar, she excavated in Palestine, especially at Mt Carmel, also in Kurdistan, Bulgaria and France. She is especially associated with the Levantine Mesolithic, the culture known as Natufian, where she laid the foundations for the prehistoric sequence still in use today. She often employed and trained local women on her excavations, as well as other European archaeologists. At the time of her election to the Disney Chair, in 1939, women could not be full members of the university of Cambridge: her election contributed to the recognition of the absurdity of this situation, although it was only after World War II, in 1948, that women were at last admitted as full members. She was the first woman to be elected a professor in either Cambridge or Oxford. Archaeology remains a field with few female professors, hardly any of those prehistorians. Dorothy Garrod was a scholar and fieldworker, and like many other academics, she found administration increasingly unattractive. She resigned the Chair when she was 60 and spent most of her remaining life in France, continuing to carry out research and fieldwork into her seventies. She produced a long series of archaeological reports, articles and synthetic books. Her papers were for long thought lost but in fact were deposited with those of her friend Suzanne de Mathurin in the Musée des Antiquités Nationales at St Germain en Laye. Her achievements have been lasting, and are perhaps recognized more widely now than in previous decades. Dorothy Garrod as the First Woman Professor at Cambridge University, Pamela Jane Smith 2000, ANTIQUITY 74(283): 131-6. Dorothy Garrod in Words and Pictures, Pamela Jane Smith et al. 1997, ANTIQUITY 71(272): 265-70. The ghost of Jane Harrison has a notorious walk-on part in Virginia Woolf’s feminist classic, A Room of One’s Own, flitting across the gardens of Fernham (a very thinly disguised Newnham) College. For Woolf, Harrison was one of the first generation of British women to write non-fiction seriously. Pushy, self-dramatizing and self-promoting, she may have been (indeed had to be). Even her best friends admitted that there were plenty who could not stand her. Yet she more or less invented the role of professional female academic, as a researcher as well as a teacher. At the same time she revolutionized how we think about the culture of ancient Greece – in a way that remains influential today. Harrison was one of Newnham’s first students, returning to college (after a couple of simultaneously hardworking and glamorous decades in London) in 1898 and remaining almost until her death in 1928. It was here that she began to dig beneath the surface of ancient Greece. Two major books, Prolegomena to the Study of Greek Religion and Themis, were the result. For the classical establishment, they told an uncomfortable story. Harrison’s Greece was not the shining, calm, rational world of the familiar image. It was a seething hotbed of frenzy, irrationality and passion bubbling just under the surface. ‘Bloody Jane’ they said. But the ancient world never looked quite the same again. 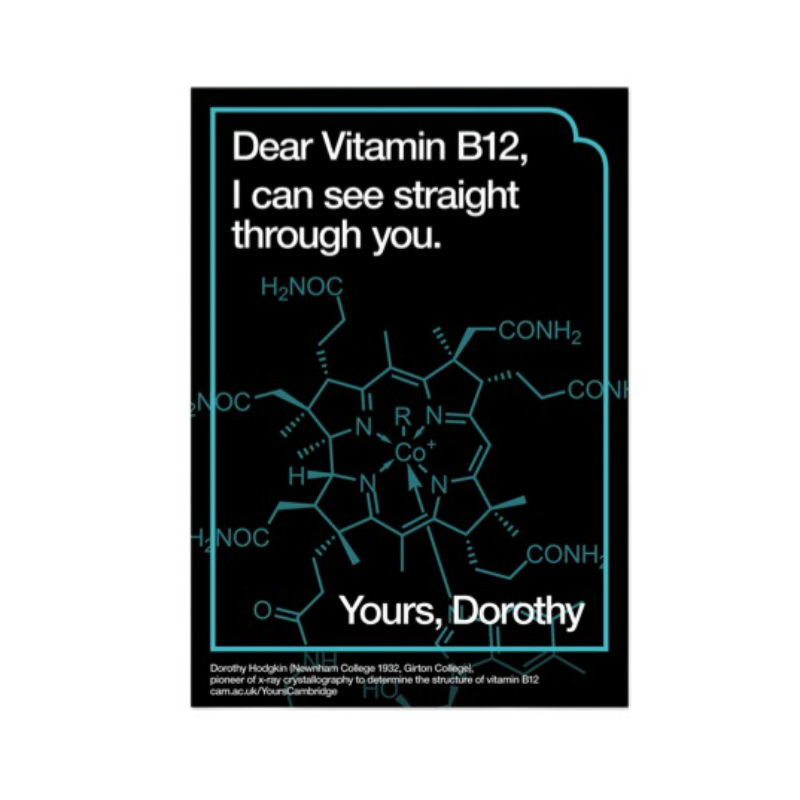 Dorothy Hodgkin became interested in Chemistry and in crystals at about the age of 10 and on her 16th birthday received a book by William Henry Bragg about using X-rays to analyse the structural arrangement of atoms in crystals. She had found her life’s work. She graduated in Chemistry from Somerville College Oxford and came to Cambridge in 1932 to work with J.D Bernal; she was at this stage a graduate student at Newnham College. She then returned to Somerville and Oxford where she worked for most of her career, solving the puzzle of the structure of various biologically interesting and important molecules, including insulin, penicillin and vitamin B12. Her results, using molecular structure to explain biological function, changed the face of modern biology and she was elected a Fellow of the Royal Society of London. In 1964 she was awarded the Nobel Prize for Chemistry, thus becoming the fifth woman and the first British woman to win a Nobel Prize. In addition to her distinction as a research scientist, she was an inspired teacher with a reputation as a warm and caring person who opened her home to all types of people and formed close friendships with scientists from all over the world. She had 3 children. 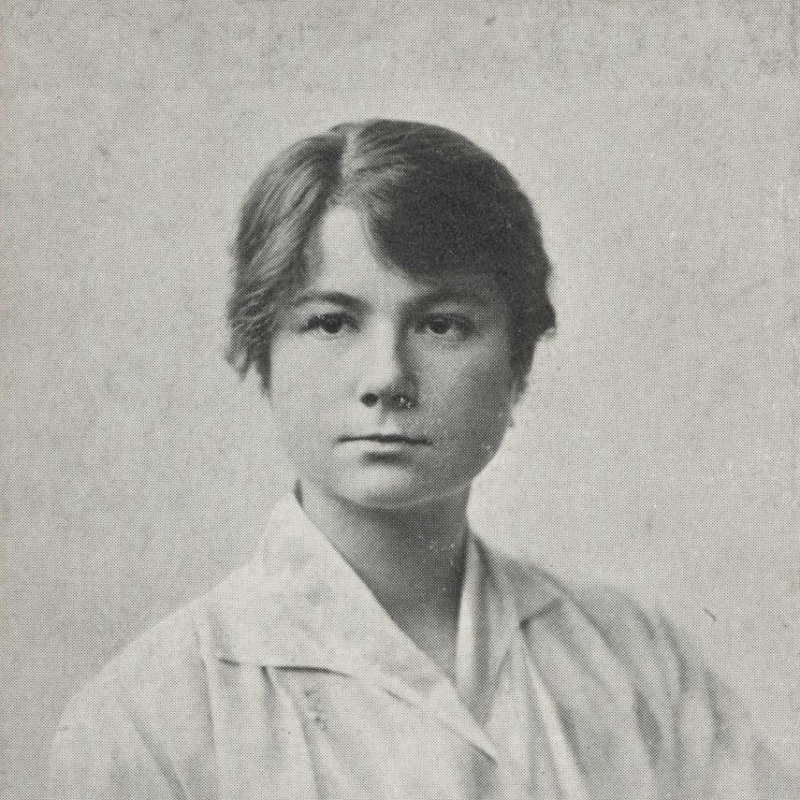 Isaline B. Horner, known to her friends as “Squizzie,” began her lifelong association with Newnham College as a student (Moral Sciences, 1914-18). She stayed on (1918-20) as Assistant to the Librarian, Mary Fletcher, and then served as Acting Librarian (1920-21) when Fletcher left the college. In 1921 Horner accepted an invitation to accompany D.J. 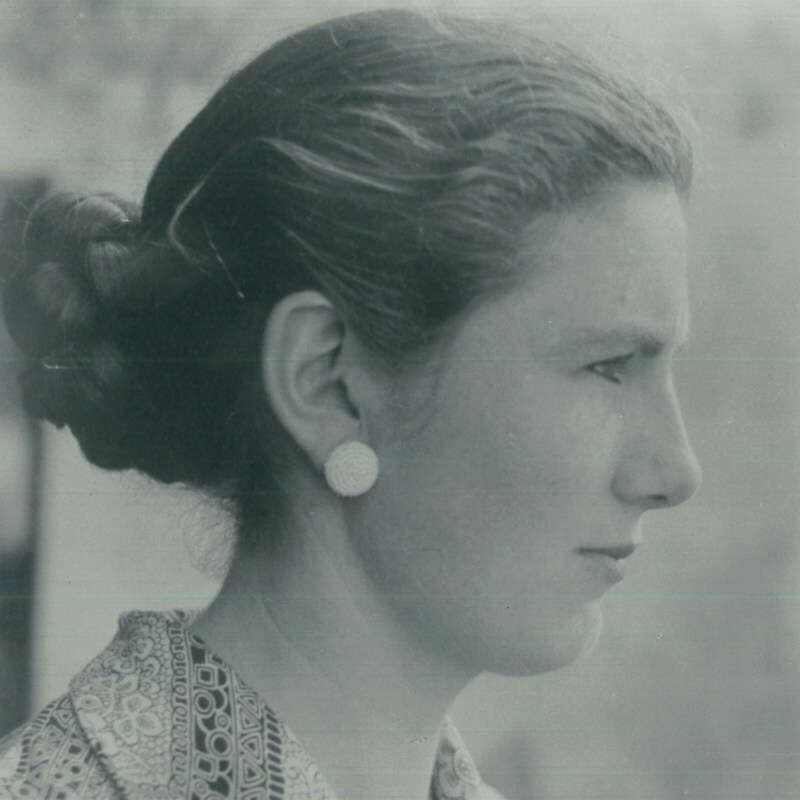 Stephen, sister of Katharine Stephen (see below), on a trip to Ceylon (now Sri Lanka), India and Burma (now Myanmar). Although Stephen probably considered the trip a Christian mission, she and Horner shared an interest in Eastern religions, and Horner filled her letters home with descriptions of Buddhist and Hindu practices she encountered in these British colonies. 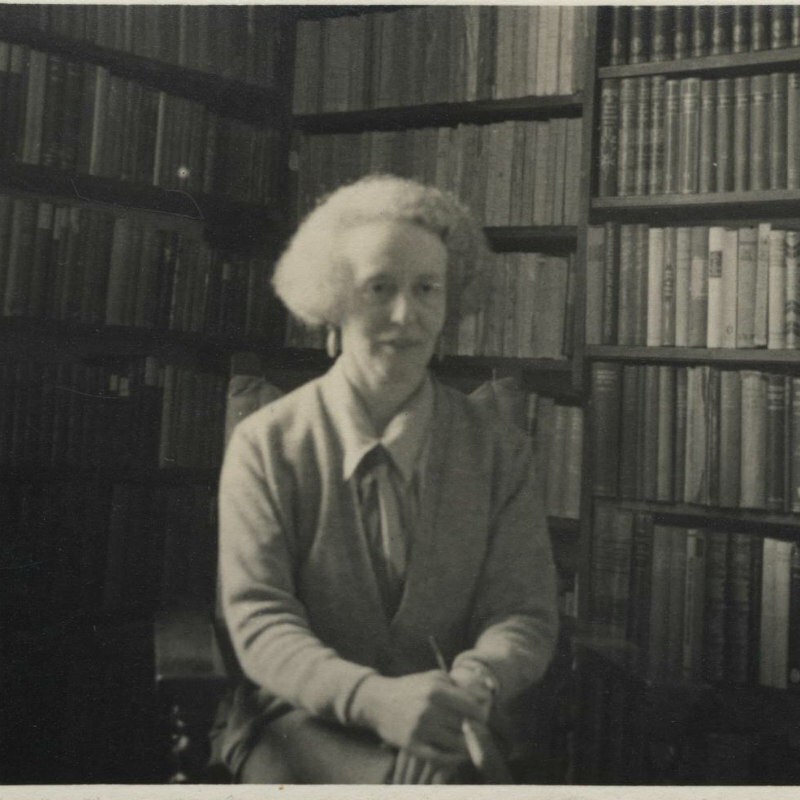 After two years abroad, Horner returned to Newnham as Librarian and Fellow (1923). Shortly thereafter, she began studying the religion she had observed in Ceylon: Theravada Buddhism. In 1925, Horner undertook the study of Pali, the language of the Theravada Buddhist scriptures, under the guidance of Cambridge professor E. J. Rapson. In this same year she began her relationship with the Pali Text Society, to whose efforts to produce editions in roman characters, as well as English translations of the Theravada scriptures, Horner would contribute for the rest of her life. 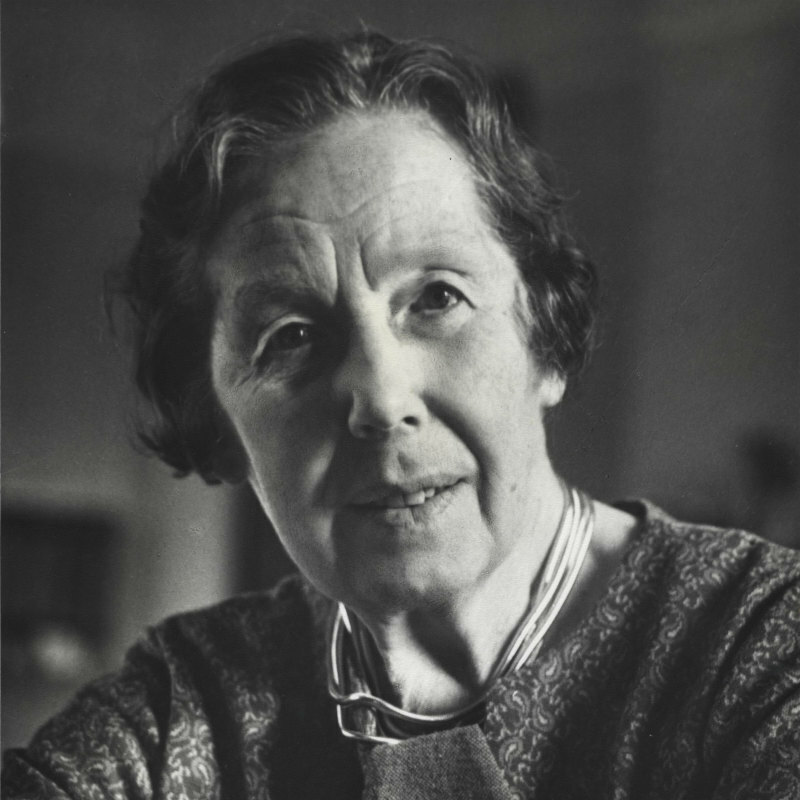 Horner continued to live and work at Newnham College – and to pursue her study of Pali texts (including research supported by a Sarah Smithson Research Fellowship, 1928-31) – until 1936. Horner moved that year to Manchester with her companion Elsie Butler (then Lecturer and Director of Studies in Modern Languages at Newnham and Cambridge University Lecturer in German), who had been appointed to a prestigious professorship at Manchester University. Horner moved to London in 1943 to care for her parents and to facilitate her leadership of the Pali Text Society. Butler joined her there in 1951, after retiring as Cambridge University Schroder Professor of German and Professorial Fellow at Newnham – posts she had held since 1945. Although Horner did not live or work full-time in Newnham after 1936, she remained actively involved with the college as an Associate (1931-59 & 1962-76) and Member of the Governing Body (Associate Fellow, 1939-49). She maintained a particular interest in the college library and donated funds toward the construction of its extension in the early 1960s. The University of Ceylon granted Horner an honorary Doctor of Letters in 1964, as did Nava Nalanda Mahavihara in 1977. In 1980, Horner received an Order of the British Empire for her services to the Pali Text Society. She died in London on April 25, 1981. L. Cousins, A. Kunst, and K. R. Norman, eds., Buddhist Studies in Honour of I. B. Horner, Boston and Dordrecht, Netherlands, 1974. Marion Kennedy moved to Cambridge with her family in 1867 when her father Benjamin Kennedy became Regius Professor of Greek. Benjamin Kennedy and his three daughters were staunch supporters of women’s right to higher education, and it was in their drawing room in Bateman Street that Mary Paley and other early students informally sat tripos examinations in the 1870s. In 1877 Marion became secretary of the Association for Promoting the Higher Education of Women in Cambridge; when the association was amalgamated with Newnham Hall in 1880, she became honorary secretary to what was henceforth Newnham College, a post she retained until 1904. Her untiring work for Newnham was recognised in 1888 by the foundation of a postgraduate studentship, first held by Philippa Fawcett. Her family’s support for Newnham was acknowledged in the naming of Kennedy Hall, opened in 1905, and their coat of arms was one of the four combined in the Newnham College arms granted in 1923. Marion Kennedy was born just too early to take advantage of the women’s educational institutions she supported. She did, however, attend the early ‘lectures for ladies’ given by sympathetic (male) dons in the early 1870s; and in the following decade, she and her younger sister Julia wrote most of the Revised Latin Primer which was published under their father’s name in 1888. In 1913, aged seventy-seven, she marched in the suffrage procession in London. Her portrait, painted in his typical Sargent style by Sir James Shannon in 1892, when she was 56, shows a Victorian lady, at once benign and formidable. 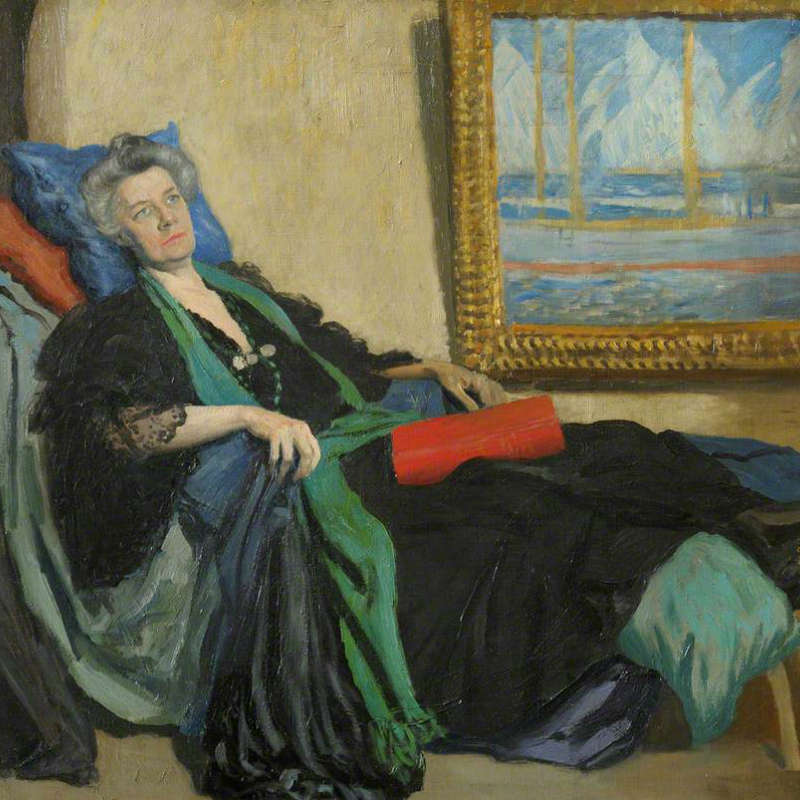 Compare and contrast Augustus John’s unconventional 1909 portrait of Jane Harrison (then 59; see above). Emily Markwick was the daughter of talented musician parents and was born and went to school in Brighton. She came up to Newnham in 1925 to read Modern and Medieval Languages, winning an Exhibition on entry. Graduating in 1928 in French and Italian, she went on to gain a teaching Diploma at the Maria Grey College, part of London University. She spent two years as a teacher at Latymer School in London before returning to Newnham in 1931 as Assistant to the Registrar of the Roll (alumnae relations) and Assistant to the Librarian, Miss Horner. On the latter’s retirement, she became Acting Librarian in 1936 for a year. As a result of this, she decided to take up Librarianship professionally, her first post being in the Daily Mail and Evening News Library and Information Service. From 1941-45, she was Deputy County Librarian for East Sussex before becoming the County Librarian for Gloucestershire, a post she held till her retirement in 1975. She continued to live in Gloucester and her wide interests included the Soroptimists, University Women and the Bristol and Gloucester Archaeological Association, of which she was Vice President. She died in 1998 at the age of 91. She was perhaps typical of her generation of Newnhamites, living a modest life, following her chosen career path with dedication and organising her affairs with considerable shrewdness. Her legacy to Newnham was one of the largest ever to be received and enabled the College to undertake a major refurbishment and extension of its already distinguished library. The Governing Body decided to link the names of Miss Horner (see above) and Miss Markwick in naming this new building, thus linking two people who had both been the College librarian and who were both immensely generous benefactors of the College. Cecilia Payne came up to Newnham to study Natural Sciences in 1919. She had had a brief fling with botany earlier, but decided to dedicate herself to astronomy after attending a lecture by Eddington. Believing, correctly, that she would find it easier to pursue a career in astronomy in the United States than in the UK, she invited herself to Harvard as Harlow Shapley’s graduate student, and arrived there in September 1923. In just two years she produced what Otto Struve described in 1962 as “the most brilliant PhD thesis ever written in astronomy”. In “Stellar Atmospheres” Payne applied the new theory of Quantum Mechanics to show that the spectra of the stars were determined entirely by their temperatures, and that the abundances of the different chemical elements were essentially constant throughout the Galaxy. This central conclusion still stands today, but at the time she was persuaded by Henry Norris Russell to pull back from it, because it was seemingly at odds with the abundances in the earth itself. Only when Russell himself arrived at the same conclusion via an entirely different argument was it eventually accepted, and although he acknowledged her earlier contribution in his short 1929 paper, the credit is generally given to him, rather than to her. In 1934 she married Sergei Gaposchkin, and for much of the rest of her life worked with him on variable stars. They had three children. In 1938 she was eventually given a proper faculty job, and in 1956 was made a full professor, and became Head of the Department, a position she held for ten years. Sylvia Plath (27 October 1932 – 11 February 1963) was an American poet, novelist, and short-story writer. She studied at Smith College and Newnham College, before receiving acclaim as a poet and writer. She married fellow poet Ted Hughes in 1956, and they lived together in the United States and then England. And give yourself to the glare? Is that what you want? Why should you want to be famous? Don’t you see – fame will ruin everything. Had she heard, he wonders, some premonitory still small voice that he had missed? Yet Sylvia did want, seek out, the ‘fame’ for which she paid that terrible price. “Hurl yourself at goals above your head” she exhorts herself in her journal; or, a few months later, “If only I knew how high I could set my goals”. The imperatives accumulate. She had determined to be a writer long before the now legendary meeting with Ted Hughes in Falcon Yard. She was, Ted recognised, “twice as ambitious as Emily [Bronte]”. Their marriage – a collaboration of ‘radioactive’ intensity, haunted by the past, astrologically ‘fated’ – was a truly rare conjunction of talent and commitment. Stars of their generation, they shared an unsurpassed single-mindedness about their art. Sylvia became, as she wanted, “one of the Makeris: with Ted.” The work of both stands among the greatest poetry of the twentieth century. The salient biographical facts figure in what Sylvia Plath called “the dialogue between my Writing and my Life”. She was born in Boston, Massachusetts, in 1932. The death of her father when she was eight left marks that she was to cultivate and collate devastatingly with later experiences. An exemplary Alpha record took her to Smith College, where her student years were extended by a breakdown leading to a suicide attempt and ECT treatment. 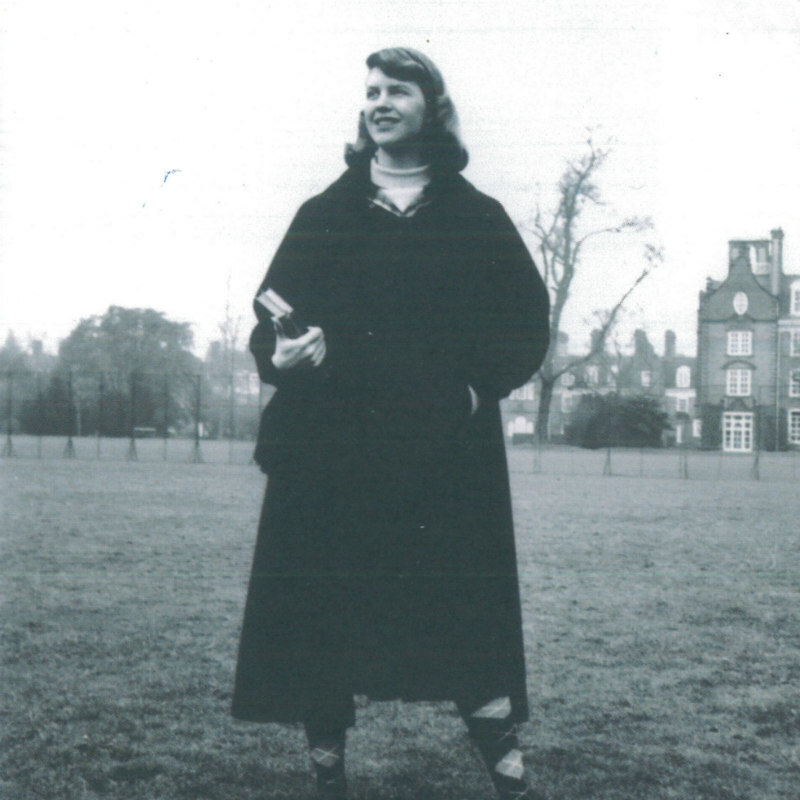 She went on to win a Fulbright scholarship that brought her to Newnham in 1955. At Cambridge she read English as an ‘affiliated’ student, taking Part II of the Tripos in two years and graduating with an honours degree in 1957. On 26 February 1956, at the launch party for the St Botolph’s Review, she met Ted Hughes. They married four months later on James Joyce’s ‘Bloomsday’: only her mother was present. Sylvia returned to Smith in the fall of 1958 to teach freshman English, Ted writing and teaching at the University of Massachusetts. They had expected a ‘vagabond’ life as writers, but Sylvia’s pregnancy drew them back first to London, and then to Court Green, an old farmhouse in Devon. The Colossus & Other Poems was published in 1960, followed in 1961 by her novel The Bell Jar (under a pseudonym) and an anthology American Poetry Now, then in 1962 by a radio play, Three Women. Sylvia was writing with personal immediacy about pregnancy, childbirth, babies, bee-keeping, mythologies, country rituals – topics springing from direct encounters of imagination and body. She possessed what Ted Hughes called “an instant special pass to the centre, [that] she had no choice but to use.” Her daughter Frieda said she “used every emotional experience as if it were a scrap of material that could be pieced together to make a wonderful dress.” By 1962 the marriage was breaking. Sylvia moved to a flat in 23 Fitzroy Square, once Yeats’ London house, with the two small children. Alone, ill with ‘flu, she struggled to re-establish an independent social circle. On 11 February 1963 in the coldest winter of the century, after taking precautions to protect the children from the effects of gas, she put her head in the oven. She was thirty. Most of the extraordinary stream of poetry written almost daily over that last year was discovered after her death. Ted Hughes’ edition of Ariel came out in 1965 followed by Crossing the Water and Winter Trees in 1971, and more. Then the prose writings in 1977. Her Collected Poems (1981) won the Pulitzer Prize for literature, the first to be awarded posthumously. The best poems (as Claire Tomalin says) “stop your breath with their spare, intense, thrilling images. They are crafted as carefully as Cellini’s pieces.” Sylvia Plath knew her own growing power and technical originality: she made herself a vehicle of both revenge and celebration in ways that carry a lasting reach. Hers was indeed a hard claim to fame. Myers, Lucas, Crow Steered Bergs Appeared: A Memoir of Ted Hughes and Sylvia Plath, Proctor’s Hall Press, Sewanee, Tennessee, 2001. Feinstein, Elaine, Ted Hughes: The Life of a Poet, Weidenfeld & Nicholson, 2001. Sylvia Plath, Foreword by Margaret Drabble, The Guardian series Great poets of the 20th century, No. 3, 2008. Nora (as she was usually known) was born into a landed Scottish family with close aristocratic and political connections: her beloved brother Arthur became Prime Minister. In her twenties she was the chatelaine of three great houses. Educated at home, she had prolonged tuition in mathematics for which she had a particular genius. 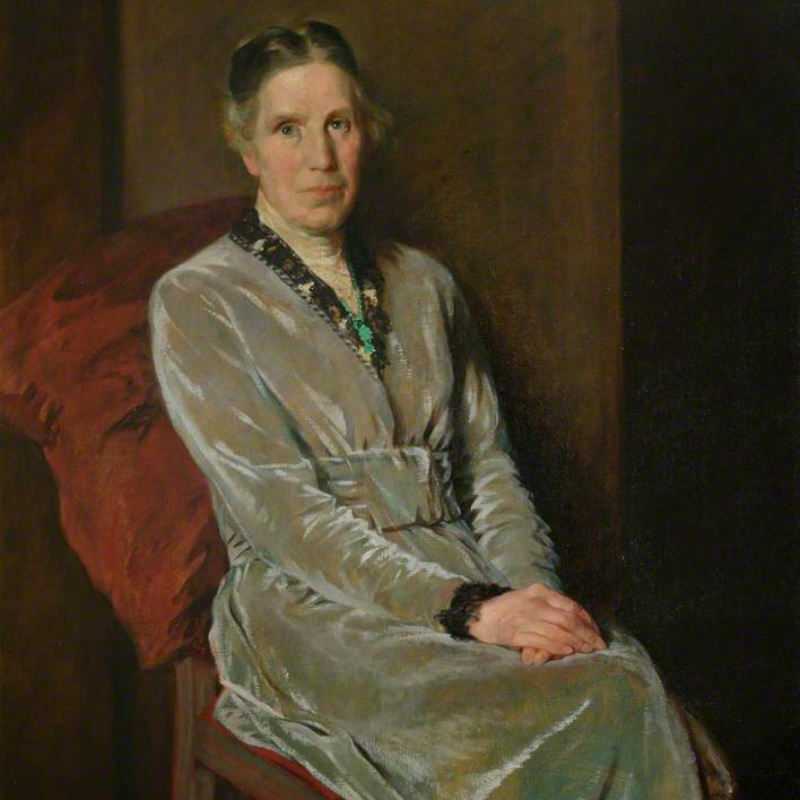 After marrying Henry Sidgwick (the great Cambridge reformer and exponent of women’s education – he had helped found Newnham), she became Vice-Principal as well as doing the mathematical teaching, while they both lived in what is now Sidgwick Hall. They were the happy centre of of much lively Cambridge and London life and their friends and family spilled over into College. After Miss Clough’s death, Nora became Principal and they lived in the new Pfeiffer building, continuing their successful companionable marriage of an unusual Victorian Kind, both engaged in different work but with a major occupation apart from the academic world: the Society for Psychical Research, founded by Henry in 1882. A joint struggle for them was for the admission of women to University examinations (won) and to degrees (lost). Newnham’s finances, to which she contributed generously herself, were entirely in Nora’s hands. She encouraged research for the intellectual health of the College and greatly helped to create its especial ethos. An insistence on both hard work and conformist lady-like behaviour was in keeping with her own busy, well-mannered, happy and yet austere life. Her ‘greyness’ (her own description) did not diminish the intense admiration and affection with which she was regarded. After Henry’s death in 1900, resigning as Principal some time later, she remained a lively member of the College Council until her own death. She had become a leading light in women’s education, a well-known speaker at academic gatherings and a formidable if quiet adversary of all misogynist attacks. 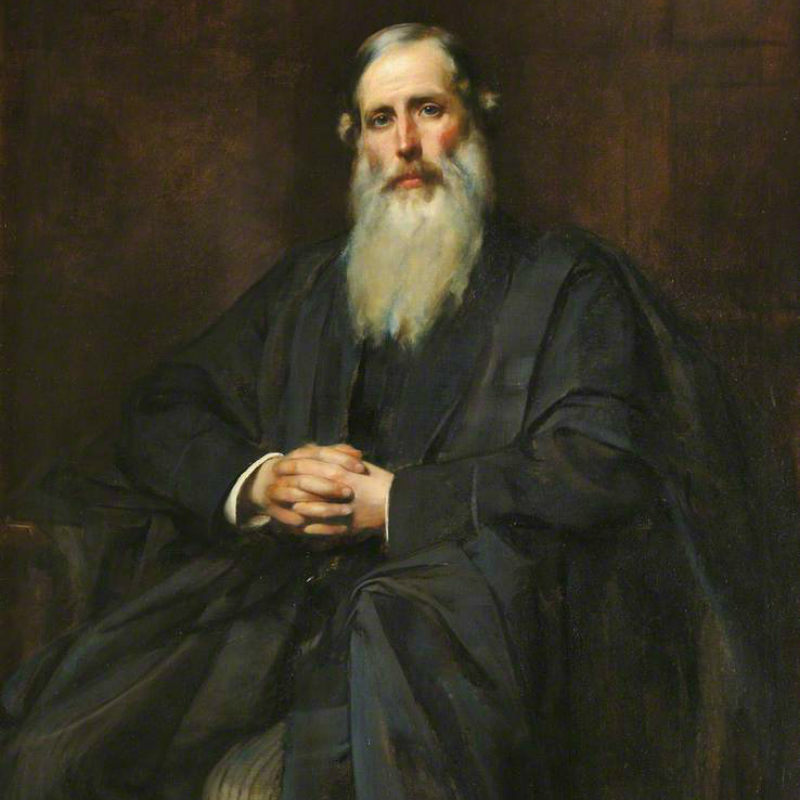 Henry Sidgwick threw huge energy into founding Newnham: not a popular project in nineteenth-century Cambridge. He lived and died at Newnham, and is commemorated in the names of Sidgwick Pond, Sidgwick Hall, Sidgwick Avenue and Sidgwick Site. Sidgwick wrote on classics, philosophy and political economy. In 1869 his religious doubts led him to resign his Fellowship at Trinity, for which there was a religious test (later abolished). For the rest of his life he opposed religious requirements; this is reflected in the fact that Newnham remains a College without a chapel. Sidgwick’s conversation was full of fun, mischief and joking word-play, known to his contemporaries as ‘Sidgwickedness’; yet he thought it right to suppress wit and sparkle in writing philosophy. He succeeded in this, and his most significant book, Methods of Ethics, is a dry read, but still admired and discussed a century after his death. Sidgwick’s Ethics and Victorian Moral Philosophy; J.B. Schneewind, Clarendon Press, Oxford, 1977. Sidgwick, Henry; Bart Schultz, in E. Craig, ed., Routledge Encyclopedia of Philosophy, Routledge, London, 1998. Susan Skilliter read Arabic and Persian at Newnham, graduating in 1954. She went on to work in the Near and Middle Eastern department of Cambridge University Library, where her discovery of an unrecorded Ottoman manuscript led her to do research under the guidance of Paul Wittek, Professor in Ottoman palaeography and history at SOAS. She did her Ph.D. at Manchester University, and in 1964 became the first – and only – Lecturer in Turkish at Cambridge. Apart from a period as a visiting associate professor at Wisconsin in 1972-3, she remained teaching at Cambridge for the rest of her life. She became an international authority in the field of Anglo-Ottoman trade and diplomacy with the publication in 1977 of her book, William Harborne and the trade with Turkey, 1578-1582: a documentary study of the first Anglo-Ottoman relations. Amongst her many commitments, she was a Council member of the Hakluyt Society and the Society for Mediterranean Studies, and became a Vice-President of the Royal Asiatic Society in 1985. An Associate at Newnham from 1978 and a Bye-Fellow from 1982, she left her extensive library and a substantial legacy to the college to set up a centre for Ottoman studies. Katharine Stephen was the daughter of the jurist Sir James Fitzjames Stephen and Mary Cunningham. She was a cousin of Virginia Woolf and Vanessa Bell. 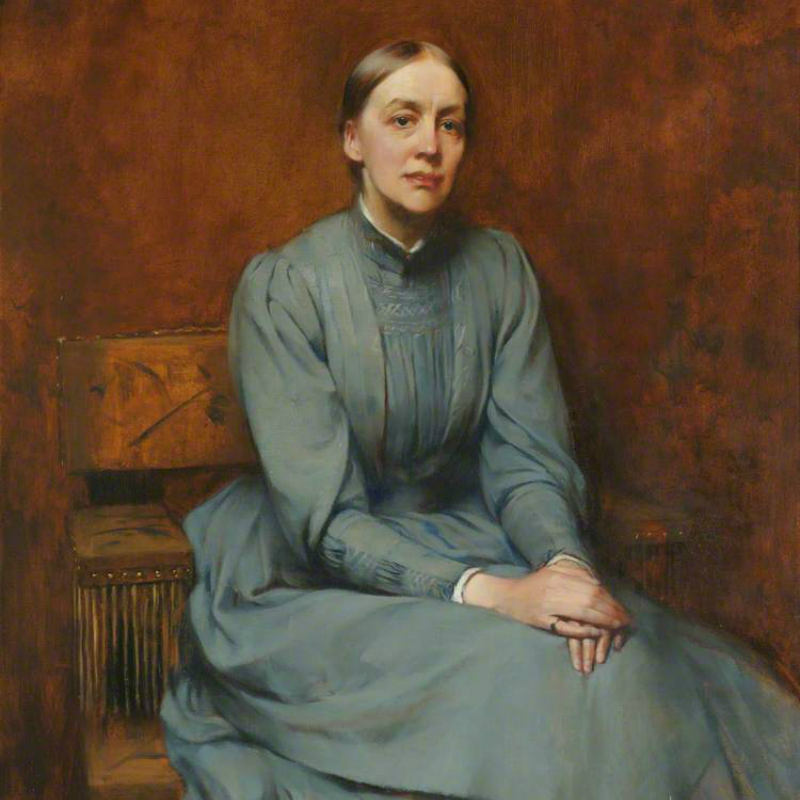 Despite her father’s notorious anti-feminism, he accepted her determination to find employment and in 1886 she became secretary to Helen Gladstone (see above), then a Vice-Principal at Newnham. 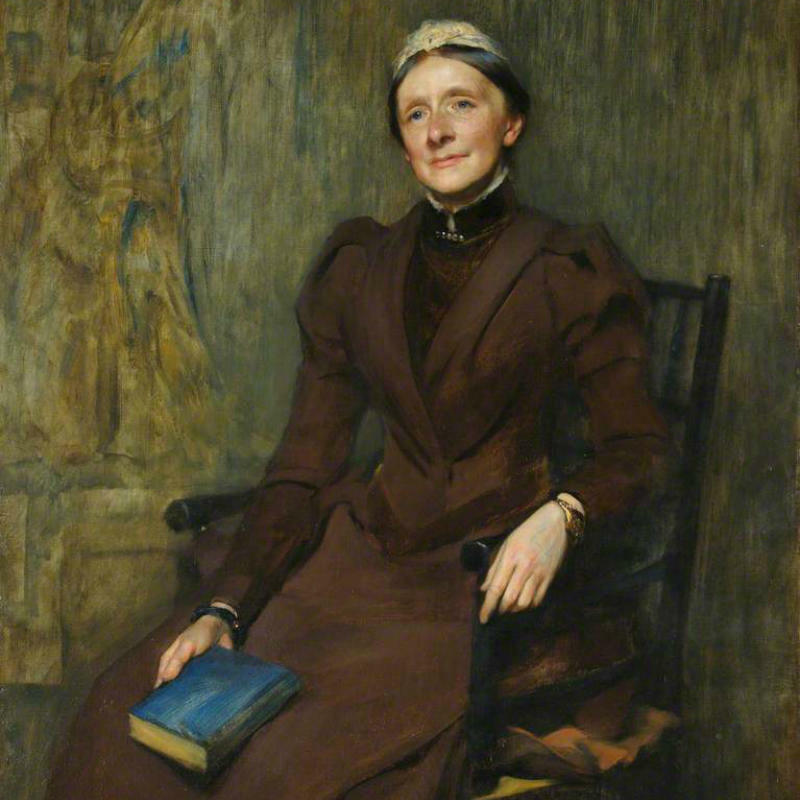 Katharine became Librarian in 1888, presiding over and rejoicing in the College’s first purpose-built Library, the gift of Henry and Elizabeth Yates Thompson (see below). She served also as a Vice-Principal and was propelled forward into the Principalship in 1911 by her great friend, Blanche Athena Clough (see above). Katharine had to lead the College through the difficult years of the First World War, always taking the view that women could best contribute to war work by completing their training first. She retired in 1920. The common sense, unfailing good humour and rare unselfishness on which the members of Katharine’s family all drew heavily was also at the service of the College; and at her death B.A. Clough characterised her as ‘always gallant towards life’. The naming of the rare books room commemorates Katharine’s great contribution to the College’s outstanding library. 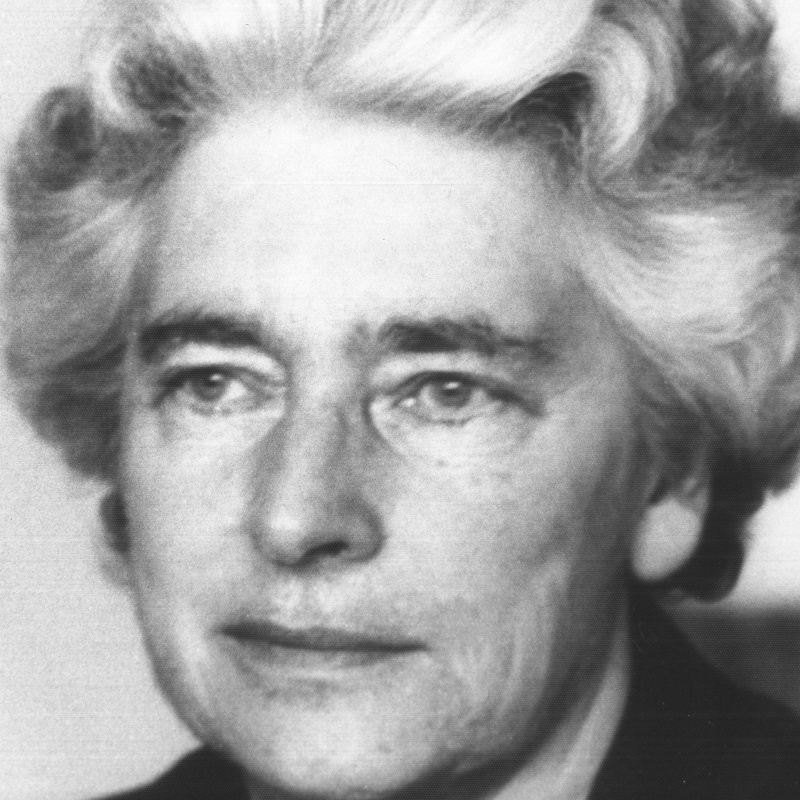 In 1945 Marjory Stephenson became one of the first two women Fellows of the Royal Society. She was a microbiologist; the other, Kathleen Lonsdale, was a physicist turned crystallographer. It was a historical landmark in the progress of women scientists, but it is interesting to see how slowly Cambridge University responded. Although she had been lecturing to Part II students since 1925 and had been awarded an ScD (or, in the custom of the time, the title of the degree) in 1936, Marjory Stephenson was not made a University Lecturer until 1943 (when she was 58), and not promoted to Reader (the first Reader in Chemical Microbiology) until 1947, the year before she died. Marjory was born at Burwell, ten miles from Cambridge, the youngest child of a scientifically-minded fruit farmer. With encouragement from both parents, and with the rare advantage of education in a good school – Berkhamsted High School for Girls – where she could study science, Marjory followed her sister to Newnham in 1903. They were early students, still in the generation of long skirts, addressing their friends by their first names only after a formal approach, having to keep on desperately best behaviour. They lived at the edge of Cambridge life, with practical classes taught in separate women’s laboratories, and chaperoned if they were going to lectures outside Newnham. But the later photograph of Marjory outside her lab with short hair and short skirt is symbolic of the revolution in women’s life and education in the first half of the twentieth century. It was in the year she died that women became full members of the University. Progress in Marjory’s profession was not easy in any way. Her first ambition, to go into medicine, was checked by lack of funds, and it was only after a spell of teaching domestic science that she was able to move to academic life through teaching the biochemistry of nutrition at University College. The next check was the 1914 war, when she left for the Red Cross work that earned her an MBE and turned her into a pacifist. 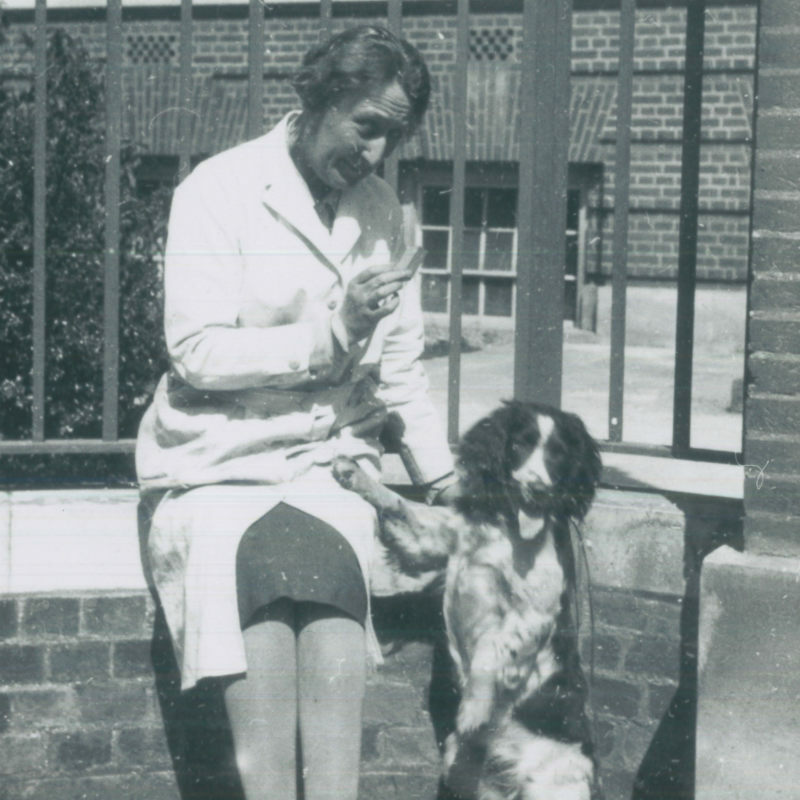 It was when she went back to Newnham after the war to work in Gowland Hopkins’s laboratory (on annual grants, for she had no fixed job) that she achieved her great distinction as a researcher and an inspiring teacher. She worked first on fat-soluble vitamins, an interest that led, through work on the fat metabolism of the timothy grass bacillus, to more general studies of the biochemical activities of bacteria; she developed great skills as an experimenter, using a wide variety of technical methods, both biochemical and microbiological. Her book Bacterial Metabolism became a standard text, last reprinted in 1966; it is, in Dorothy Needham’s words, ‘animated throughout by the imaginative insight which enabled her to consider the microbe, not as a useful device or as a pest to be eliminated, but as a living organism going about its own legitimate business’. Friends remembered Marjory’s liveliness, her love of travel and of her garden (returning to her heritage of scientific approach to fruit trees) as well as her impressive ability. Recognition came slowly but it lasted. Pernel Strachey, an old Newnham student herself, returned to the College after being an assistant lecturer at Royal Holloway College. Eventually she became a Tutor and finally, in 1923, by the unanimous vote of the Fellows, its Principal, an office she adorned with particular and individual distinction until 1941. Her published work was sparse, confined to editions of Anglo-Norman texts for the C.U.P, but her teaching of French literature was greatly admired and valued by students for its fastidious intensity. 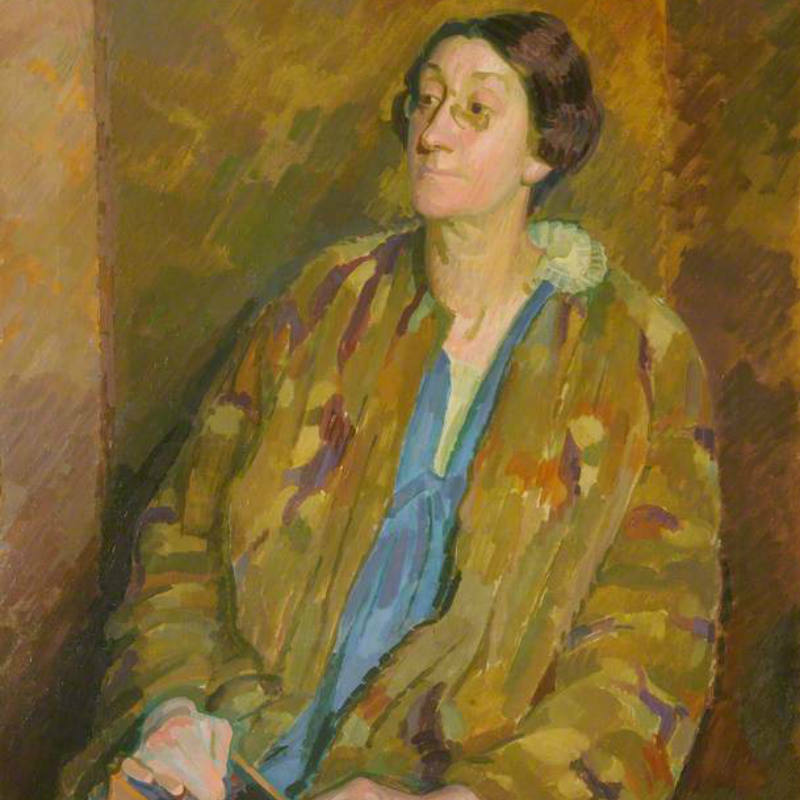 As a member of the large and distinguished Strachey family (Lytton was a younger brother), she shared its characteristically lively intellectual interests, wit and argumentative engagement with ideas. In manner she appeared shy and withdrawn (described indeed by Virginia Woolf as a delicately stepping fawn in a wood), but this veiled both kindness and a humorous regard for life’s problems. Her tall thin figure was typically Strachey (she was always known as the Streak), adorned on appropriate occasions by magnificent brocade coats, as may be seen in Henry Lamb’s portrait, which also shows her quizzical tilt of head and bird-like pose. A favourite of Virginia Woolf’s, it is noticeable that the latter’s letters to her show a teasing deference. As Principal, Pernel Strachey showed an acute ability, deceptively hidden, for management, fund-raising and an awareness of every aspect of college life. Suprisingly for one from a Bloomsbury background she maintained strict ideas about student behaviour and was described by many as too conservative. It was some years into her office that chaperonage was gradually dropped; her views on theatre attendance seem remarkably old-fashioned (only the dress circle and with another student and possibly a named man or two). But she acceded to the Boat Club’s request to be allowed to wear shorts on the river instead of voluminous skirts. At Council meetings she seems always to have maintained an amused but restraining hand. Pernel Strachey was a witty and fluent speaker and debater. She possessed the easy but polished politeness of an earlier and more formal era which reflected the upper class moeurs of her family – and which was much missed by many when she left. Her remoteness was as characteristic of her as it had been of Mrs Sidgwick. In each it lent distinction to the figure presented to the world and was also as illusory. It concealed determination to allow the full development of women’s minds and ambitions. It also concealed their capacity for not taking themselves too seriously. Pernel Strachey once told a students’ coffee party that she viewed the prospect of Queen Mary spending a night in the Pfeiffer (Principal’s) flat as daunting because they might be discovered, before the evening was out, hobnobbing with each other. The present writer remembers that on the morning after war was declared in 1939, Miss Strachey took great trouble to give her advice, selfishly sought, when her thoughts must have been elsewhere. Pernel Strachey’s reign can be regarded as a bridge between the old founding concepts of a women’s college and its emergence, particularly with the granting of degrees to women in 1948, as an integral part of the University. Alice Barbara Dale was a daughter of Alfred Dale and May Jeeves. Her father was Fellow of Trinity Hall, Cambridge and subsequently Vice-Chancellor of Liverpool University; and her grandfather was the great Victorian Congregationalist divine, R.W.Dale. 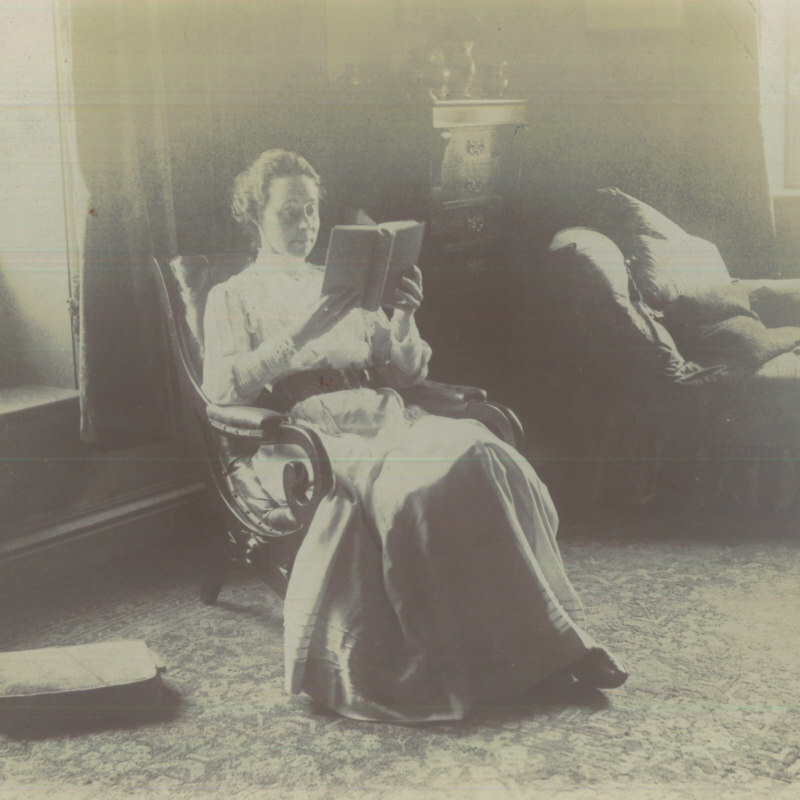 She read Natural Sciences at Newnham and then went to Yale University to complete her Ph.D. Her principal scientific interest was in crystallography; but increasingly she developed interests and specialism in education. In 1934 she married the mathematician, Francis Puryer White, who was a Fellow of St John’s. Barbara had served as Tutor of Old Hall in Newnham 1925-34 and for the duration of the Second World War was Acting Bursar. The appointment was made permanent in 1946 and she continued in the post until retirement in 1958. She then turned her energies to compiling in publishable form a register of the members of the College since its foundation and was formally made Registrar of the Roll in 1963. She served as Chairman of Governors of her old School in Cambridge, The Perse School for Girls, and on many other governing bodies and committees. And throughout her retirement she continued to do all she could to order the archives of Newnham. She and her sister Beatrice, who had also been at Newnham, were generous benefactors of the College; one of the Research Fellowships bears Beatrice’s name and the former dining hall of Old Hall is named after Barbara. Henry Yates Thompson (1838-1929), the eldest of five sons of a Liverpool banker, graduated from Trinity in 1862. 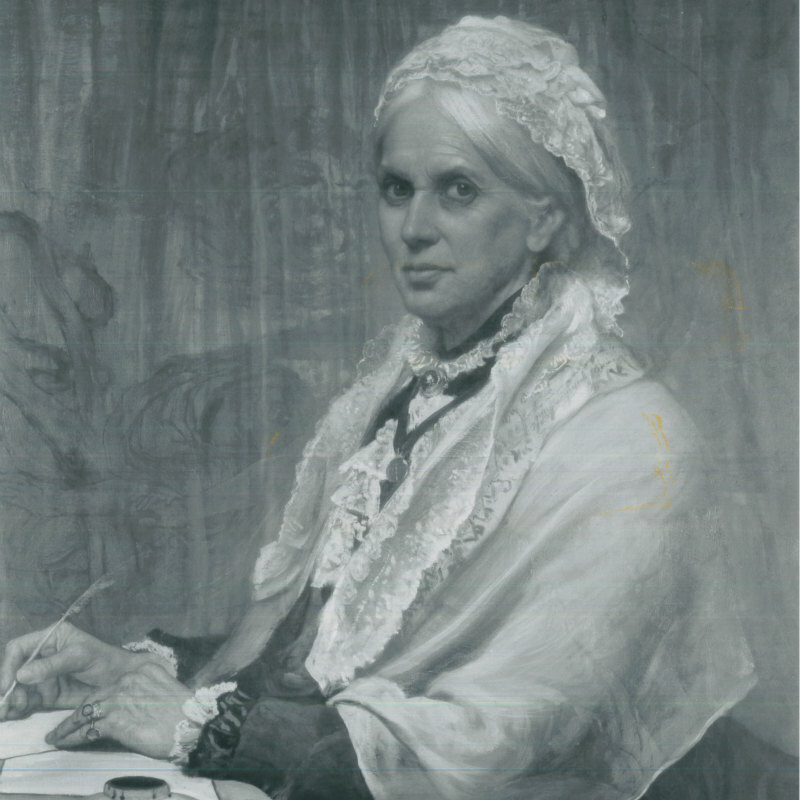 Elizabeth Smith (1855-1941), later his wife, was the eldest daughter of George Smith, founder and publisher of the Dictionary of National Biography. He spent several months in America during the Civil War, becoming a committed advocate of the abolition of slavery. Though trained as a barrister, he was by temperament a scholar, with the means to travel widely. He was to put together an unrivalled private collection of illuminated MSS and early printed books. A man of strong liberal views, and from Cambridge the friend of both Henry Sidgwick and Basil Champneys, he supported in cash and kind the controversial founding of a College for women. Sixteen years her husband’s junior, ‘Dolly’ shared his interests in politics and art. She quietly claimed as her great-grandfather from Virginia one of the first Southerners to free his slaves, and became Henry’s equal in practical knowledge of book-making, fine printing, and binding — valuing skilled workmanship as much as the taste of the collector. From Portman Square in London and their Buckinghamshire estate, the Yates Thompsons hosted the intelligentsia of their day, including the Stracheys, Trevelyans, and Leslie Stephens. 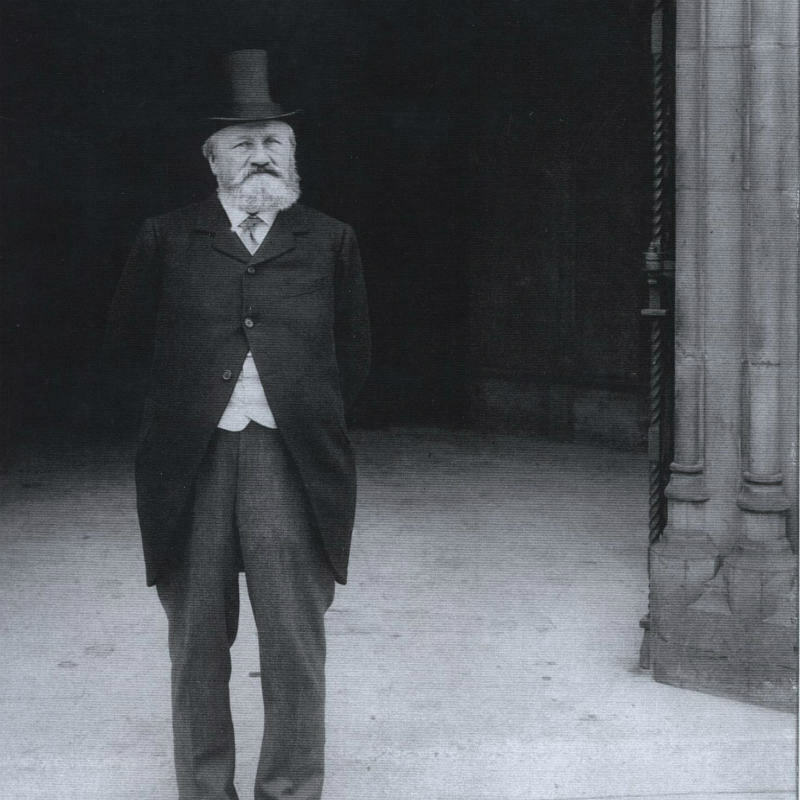 Among their unusually wide circle of American friends were Henry James and Henry Adams, Andrew and Louise Carnegie, Ruth Draper, and a succession of American Ministers to the Court of St James. Henry Yates Thompson was a substantial benefactor of the British Museum, the Dulwich Picture Gallery, and the Fitzwilliam Museum, as well as Newnham. Among the first to contribute to Henry Sidgwick’s scheme for the education of women, he and his wife later made gifts in equal measure. Together they gave the College its original Library in 1897, and ten years later, the extension which nearly doubled the Library’s capacity. A full list of their gifts to the College is recorded in the Library. Elizabeth Robins, Portrait of a Lady, or The English Spirit Old and New, Hogarth Press, 1941; reprinted privately by Newnham College, 2002, to commemorate the building of the new Library. Was Henry Yates Thompson a Gentleman?, Christopher de Hamel, in Property of a Gentleman, ed R. Myers and M. Harris, Winchester, 1991.